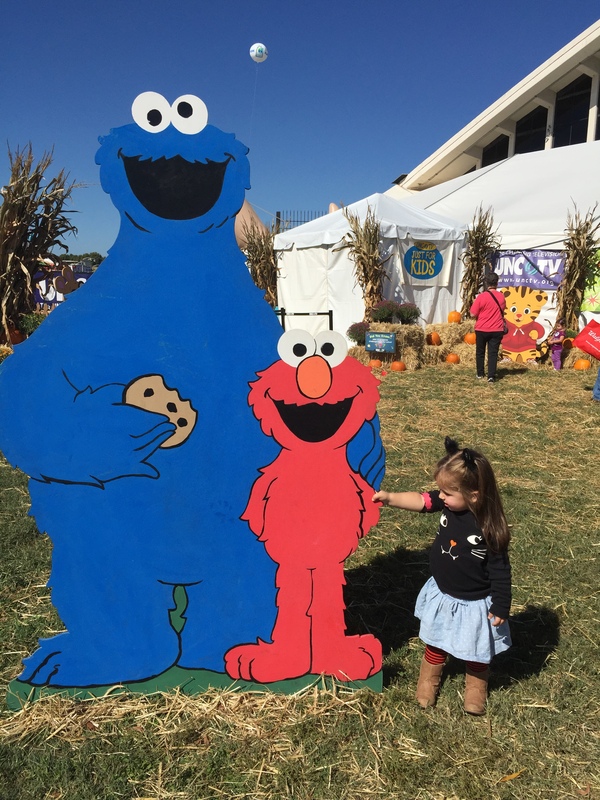 I love that she is holding Elmo’s hand… Our weekend adventures to the NC State Fair! Ok, so Linda wasn’t kidding when she said Week Four was hard in the One Room Challenge. For those of you who are just joining me, you are welcome to take a step back and see the progress I’ve made through this journey. Last week I was a bit hard on myself, but when I looked at my master to do list, I wasn’t in that bad of shape. So this week, I am going to start off with a look at the master to do list. Here is where we are sitting at week 4. Create a secondary focal wall, so that no matter where you sit in the room, you have a pretty view. Have I mentioned that I have and OCD tendency for perfect symmetry? Well this is three quarters done. 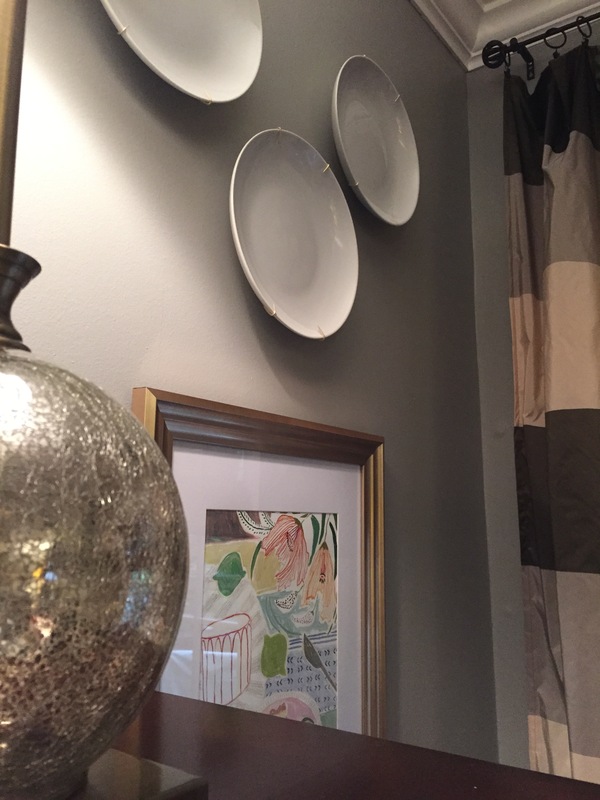 I still have to paint and mount my large platter holder, but I did get all of the artwork up as well as the other plates, and I am really digging the results. Purchase lighting. I really don’t understand why builders don’t put overhead lighting in homes. Let’s face it, cost. 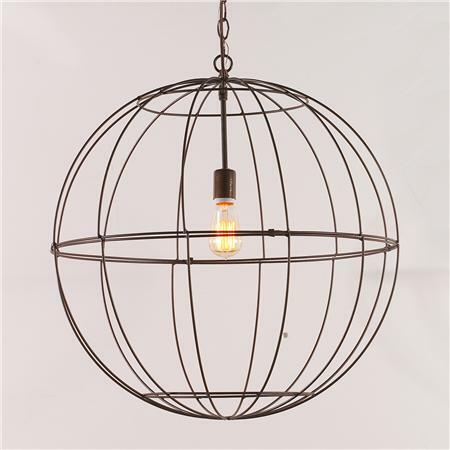 So, I am going to attempt to source some super cool lighting that I can use on top of an existing buffet. Then the piece de resistance… ceiling swag for the seating area. I am going to have to get really creative since hubbie is keeping me on a very tight budget for this. 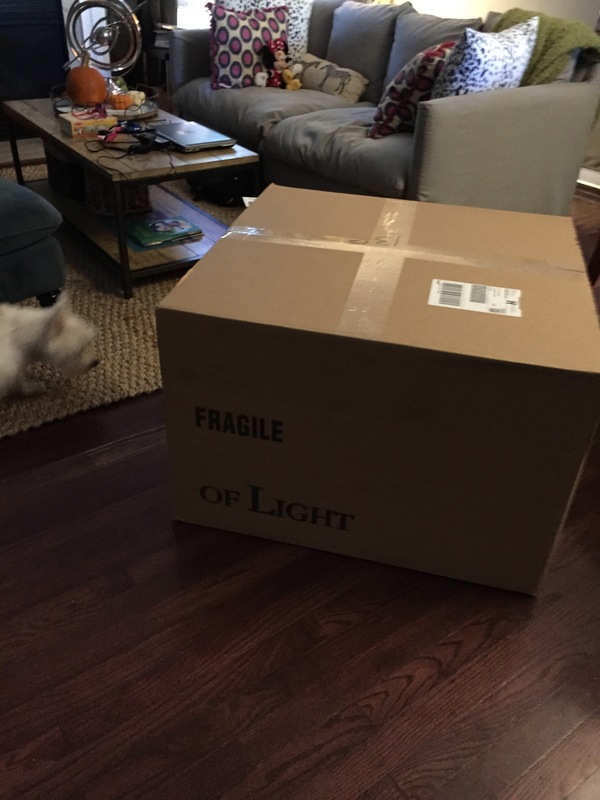 I was super excited and surprised to see my package from Shades of Light. It wasn’t supposed to ship until October 28th and it arrived about four days after I ordered it! That is awesome! I’m still working on getting it converted to a plug in play and where to place it. So I will leave this guy off until the big reveal. My big surprise, will it make it into the room or not?! Stay tuned to find out! Keep an area for my daughter to have her play table and chairs. This will also involve the use of creative storage solutions (i.e. baskets galore) to hide those fabulous brain stimulating, make your kid smart, bright and obnoxious toys! 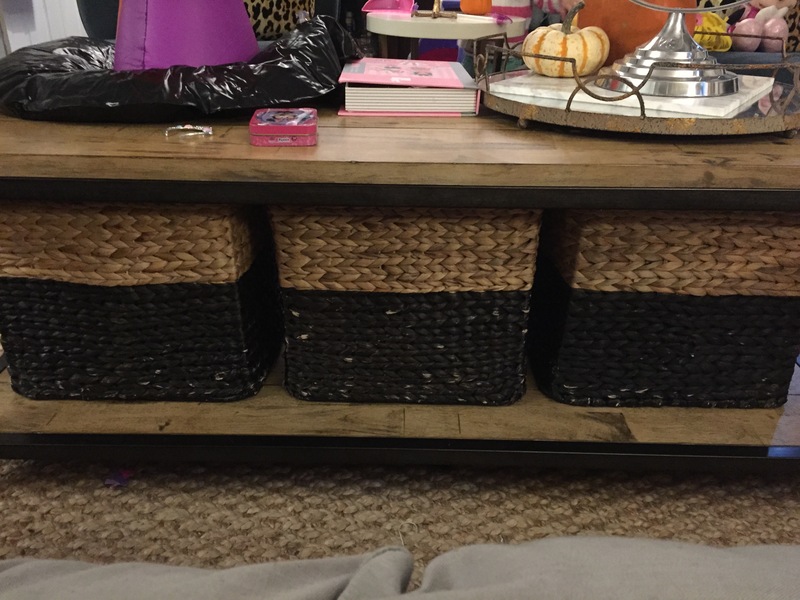 Well we successfully chopped off the handles so that the baskets I purchased upon move in could fit on the shelf of the coffee table. The hubs was super excited that he got to use the Dremmel tool! 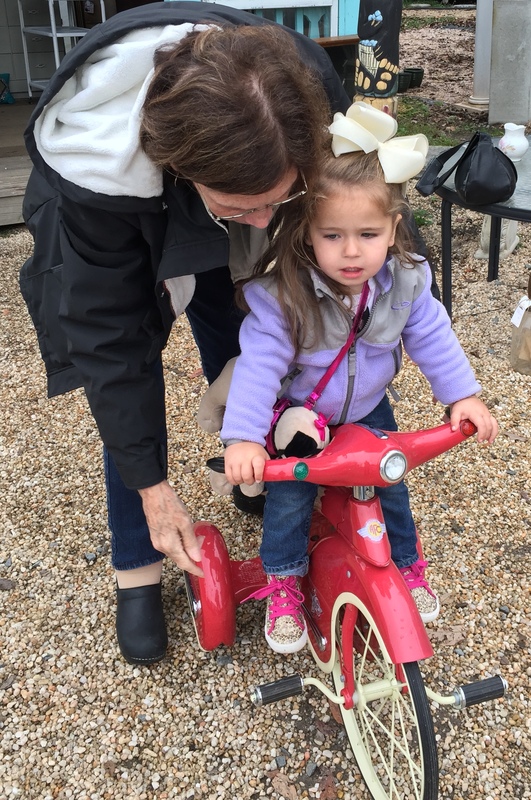 Baskets, check….. Already completely full with TOYS!!! Baskets are a Mom’s best friend!!! Make throw pillows. I collect fabric and I’ve found some major winners on Spoonflower.com. While I do know how to sew, it is not something I enjoy. Mostly because to do it right, it requires taking up lots of space and making a MESS! I may attempt to get my mom to help me on this one, since she is coming for a visit in two weeks. Drink some wine. I figure this will more than likely be a vital part of this challenge. Did I mention I have a two year old and a full time job. Man I am really failing in this item. I did have a few glasses at a wonderful dinner that my Mother In Law had at her home this weekend; while we caught up with dear friends! Source and or make new MAUVE drapery panels. 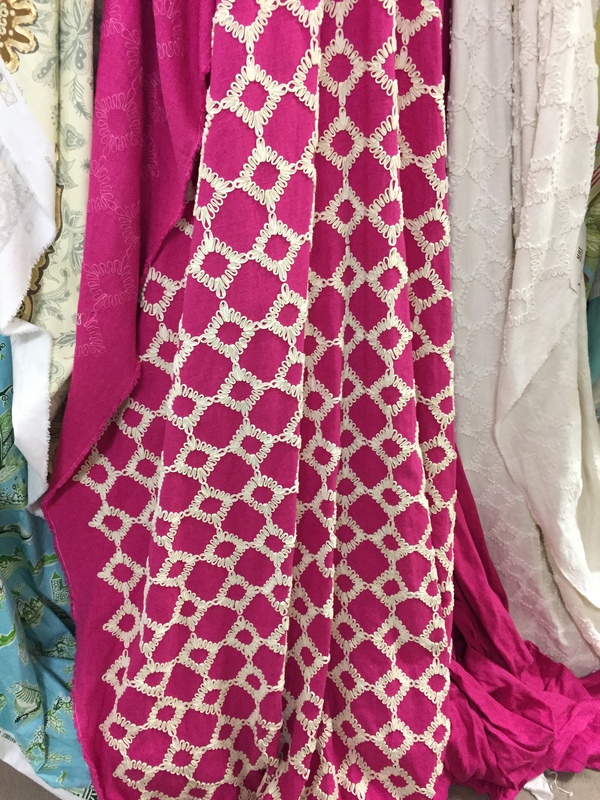 Still having a hard time typing that MAUVE… So, I may be retreating on the mauve… I just cannot find any fabric that I am digging. I found a few that I like, but not LOVE! Again this is always something that I can change out as time goes on, but for now, I think I am going to stick with what I already have. 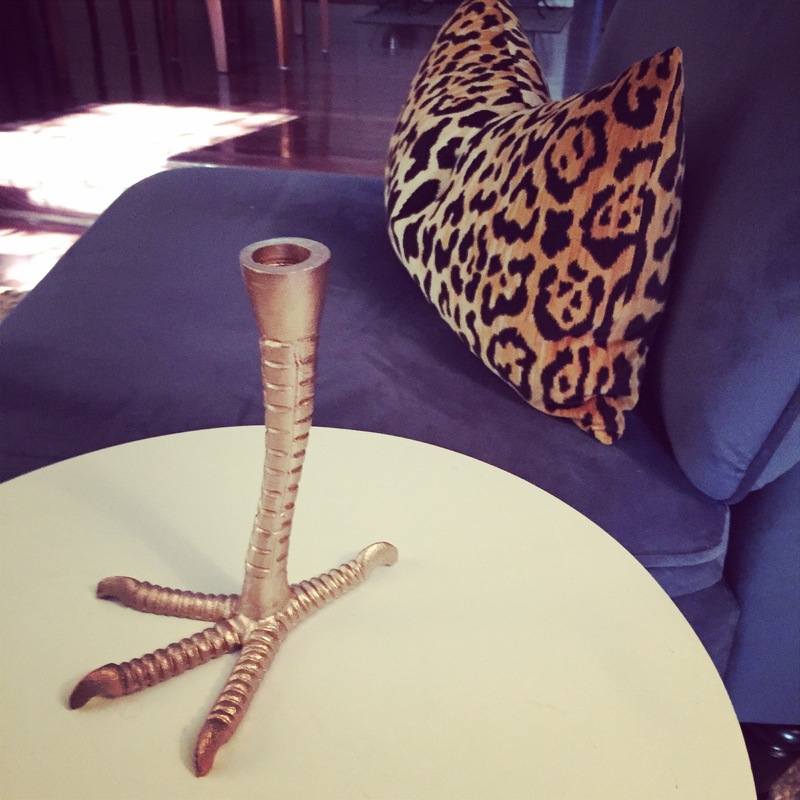 Accessorize, style and find a photographer to capture some really amazing shots of the completed project. Still searching for that photographer in the Northern VA area that may want to help build their portfolio and help me photograph the final product. I did have fun finding a few items for the space. Remember that fabulous Ibis lamp that didn’t make it into the room b/c of my budget? Yep, I do too. Well I ran across a cousin that is equally as fabulous at a favorite FURBISH STUDIO in Raleigh. It may only be a candleholder, but the TALLON has made it in! Yep, everyone meet Tallon! He rocks!!!! So, all in all, I’m in pretty good shape. Next week I will be running around trying to close the door on all the little things and planning a trip to the flower market. I will more than likely shoot my own space, so I need to get a couple test shoots in to play with the light. 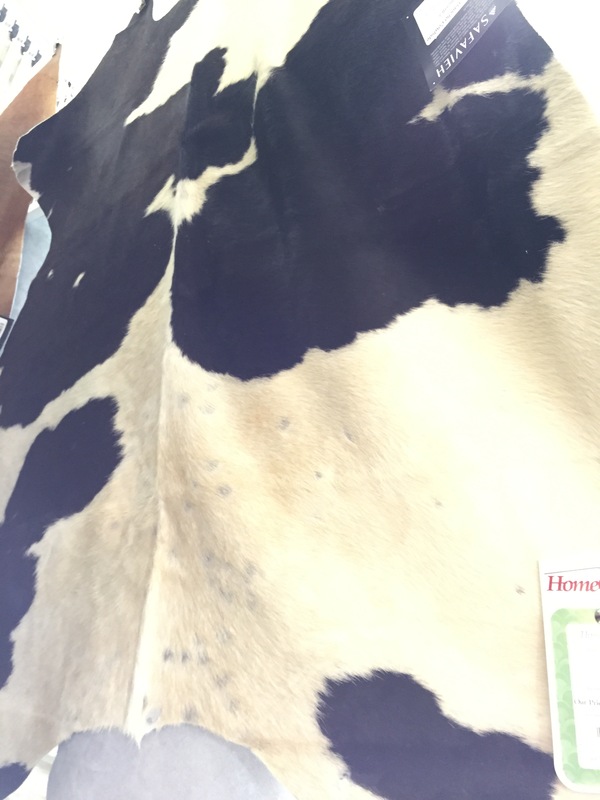 Here are few photos from a recent shopping trip to Home Goods, some of the items may make an appearance in the final reveal, and some may not… You’ll just have to wait and see. Jury’s out, tacky or sassy? Thanks again for popping by, and be sure to check out the amazing One Room Challenge participants on Calling it Home here. Also take a look at the linking participant’s journey to crazy town! All of your kind words of support are really amazing, so thank you all very much! 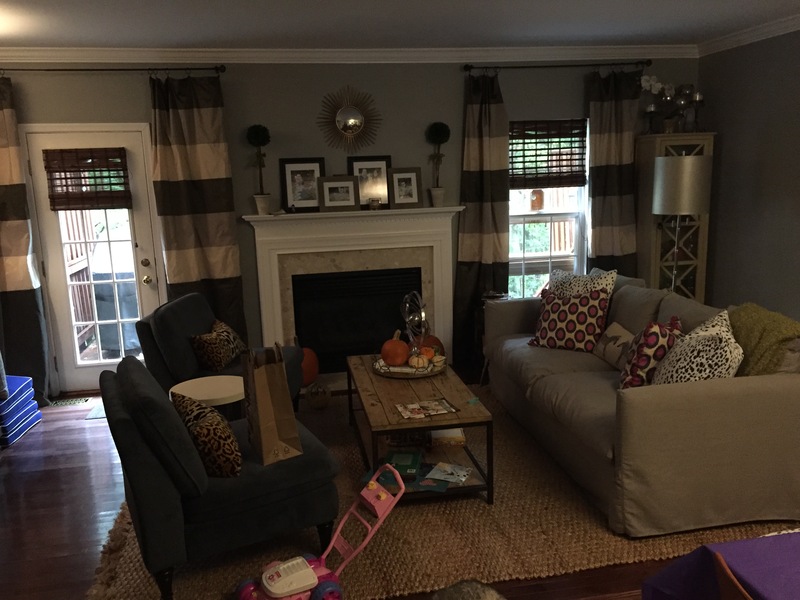 Thank you for checking in to see what Week Three has in store for me on this One Room Challenge, brought to you by Linda at Calling it Home. To take a look back at Week One and Week Two, you can catch up in the links and see my plan and progress. Ok, so week three and I didn’t do all that well… I thought that week four was supposed to be the hard one? It’s been a busy week. I hate to say it but my progress has really not been what I had hoped. I did however venture out and do a lot of sight-seeing shopping. This is when I don’t find anything specific to my project, but I find a TON of sights to see on my shopping trip. I was a very good and stuck to my budget and didn’t buy anything that wasn’t part of the original plan. Have you ever had a shopping trip where you were just overwhelmed with all of the magical objects so much that you couldn’t focus long enough to really see things? I had this experience this past weekend. I call this DADD, Designer Attention Deficit Disorder. Not to be confused with regular Attention Deficit Disorder of which I also suffer from. I would love to say that I am still on the design high from last week. But it was a busy work week at my full time job (my desk moved from one building to another), wife and mom duty would not let up and this momma got sick. It occasionally happens. As mom’s we are famous for “shaking it off” (thank you Taylor Swift for a new theme song) when we fall a little under the weather. Thankfully for me I had my mommy come for a little visit and she makes the best grilled cheese sandwiches and soup! I managed to get a little Birthday celebrating in there as well. 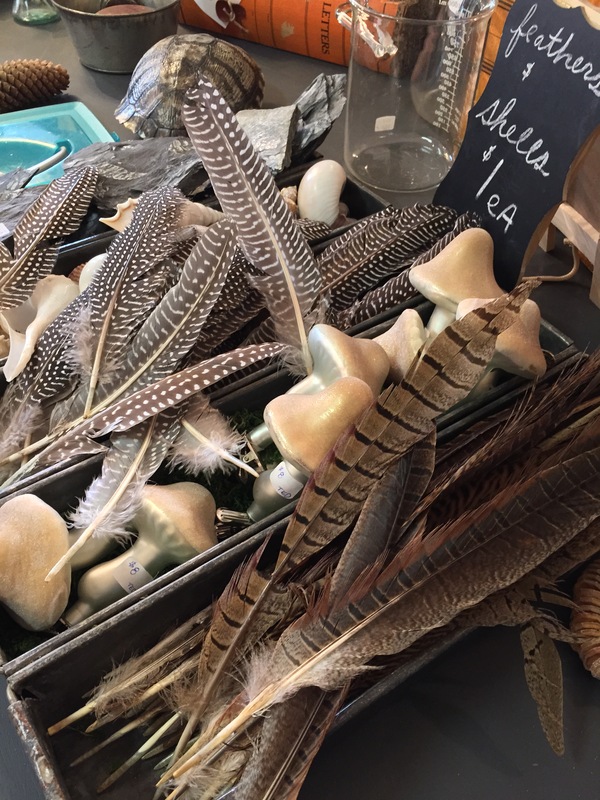 Some notes from this weekend’s adventures…. 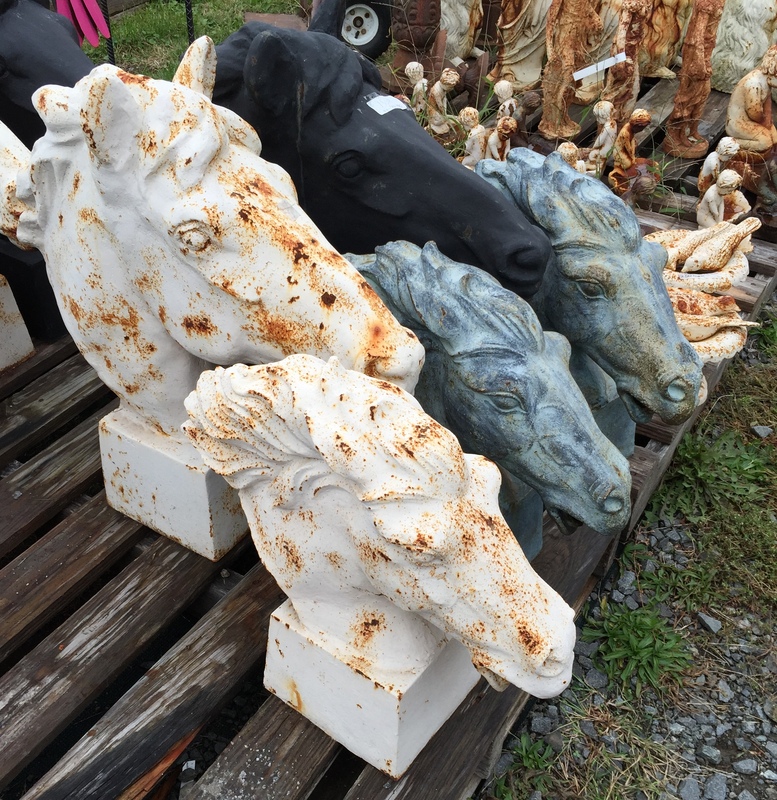 GO, no RUN to LUCKETTS Store in Lucketts, Virginia, as in NOW! 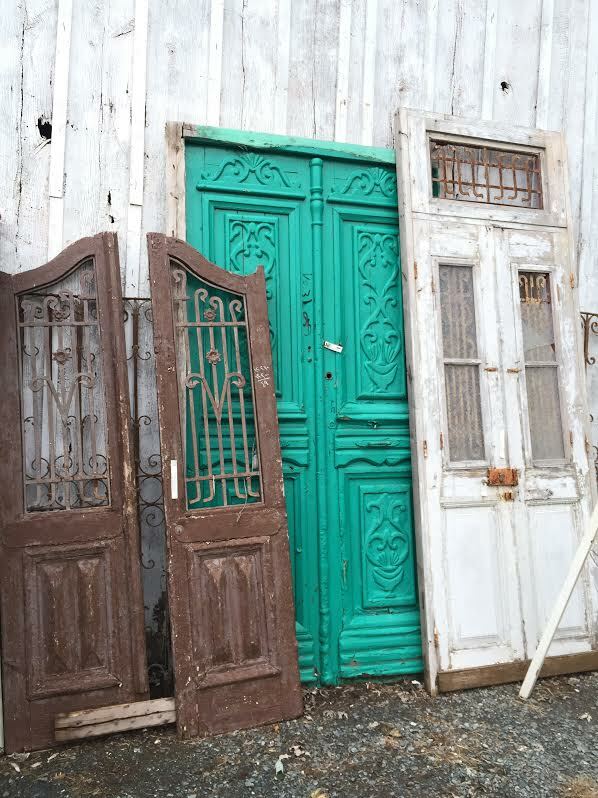 If you love old doors, architectural details and just beautiful things that are just awesome, you will not be disappointed. I’ve lived in the DC metro area for going on six years and I have always heard about this jewel, just hadn’t made the trip. They have market several times a year where the store has tons of vendors that flood their area. It’s just AMAZING and you need to check it out. It’s only about an hour/hour and half from DC, but so worth it!!! 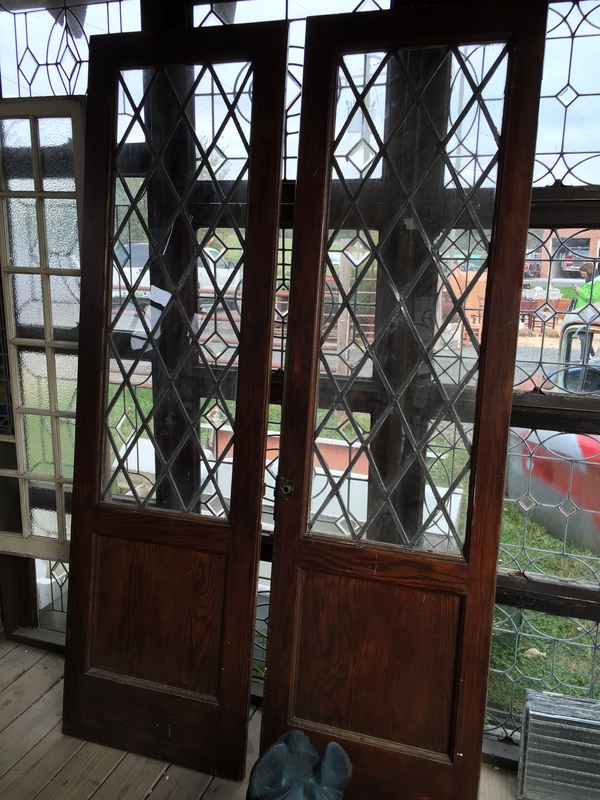 I tried unsuccessfully to convince my dear husband that we needed to take home about four sets of antique doors. These were just some of the amazing things I found. I will need to go back without toddler and without husband to really dive into the goodies here. Sensory overload is an understatement!!! I mean seriously! Do they have a hotline to save doors and windows? I really, really wanted this guy! I think I almost had him, with this pair! This ones for you Angie! Seriously, they have just about everything! Next up on my weekend festivities was Gone Girl. It is a crazy messed up movie, but it’s awesome. I didn’t read the book but now I want to! Those of you who enjoy any of the variety of crazy that is on the Bravo, (No judgment zone, myself included) you will laugh out loud and feel a high level of discomfort all at the same time. It’s been quite a while since I was in the movie theater where several collective and synchronized GASP’s came from the audience. It’s a roller coaster that I’m glad I got to take! Must make mental note, the hubs and I really need more date nights sans toddler! Thank you Betsy @ Little Design Co! I subcontracted out some pillow making to this lovely lady and her assistant. Those of you who have toddlers (2 year olds specifically) can appreciate that we are just living in their world; therefore, we are their assistants. Right?!?!?!? My mom daughter sewed the fabulous Charcoal Dot’s fabric from Domesticate into two pillows to go on the big comfy couch! Also, cleared out the room, shifted the rug and center everything on the fireplace. I did get the overhead light ordered, but it won’t be shipped until Oct 28th. It will be a miracle if it makes it and gets installed before my final photos are taken. You will have to stay tuned to see which one I ended up picking. Mainly, because I may just up and change my mind, no designer has ever done this right?!?!?! I may have to make a stop in one of my favorite retailers for all things funky and fabulous Furbish Studio for a little “market research”. I love it! Today’s test statement to see if my husband actually reads my blog, no hints friends, we will see how long it takes for him to say something. I love that I can tell him its market research for my work and really it’s just a shopping trip. J Perks of the trade! 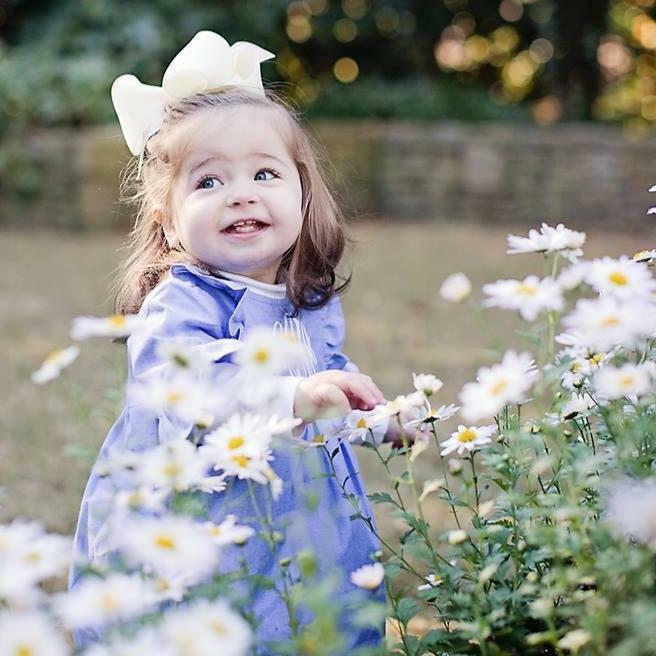 We are off to visit with family, have our annual fall photo session with the amazing and talented Emily Alane Photography. I mean, seriously guys and gals you have to check her out. She took this masterpiece in last year’s fall photos and I cannot WAIT to see what she captures this year! So to recap the official to-do list for my Challenge, here is where we are sitting at week 3. 1. 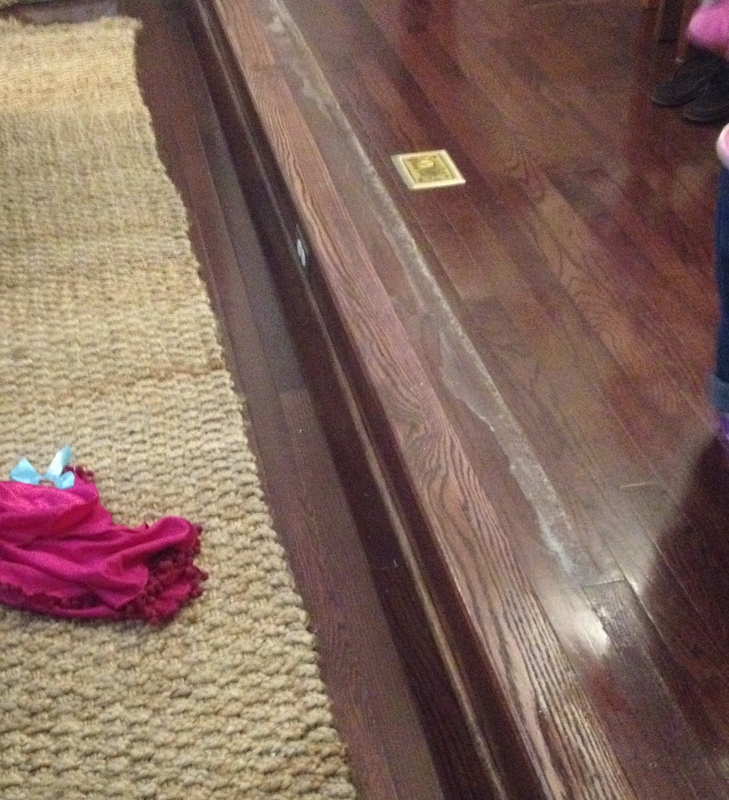 Remove horrible and ugly dated banister and patch the (hopeful) hardwoods beneath. 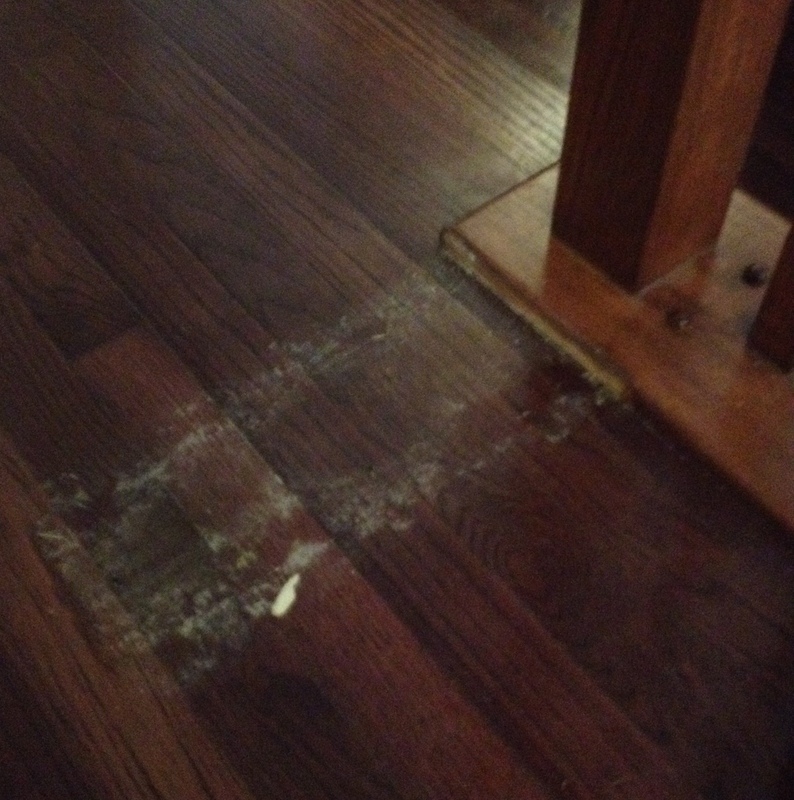 Please lord, let the hardwoods be in good shape and please let me not have to keep it for building code reasons. This right here was the “You’re going to do what? Comment. 2. Center seating area on the fireplace. This has bothered me from day one. With the banister in place, it really limits you on where you can place furniture. Until now the couch has been on the banister wall and we have a bowling alley down the middle. All is right with the world, now that I can have my symmetry! It may not be perfect but it’s balanced and that just makes my life feel complete! 3. Create a secondary focal wall, so that no matter where you sit in the room, you have a pretty view. Have I mentioned that I have and OCD tendency for perfect symmetry? Really hoping to find some extra-large plate hooks on my travels this weekend. 4. 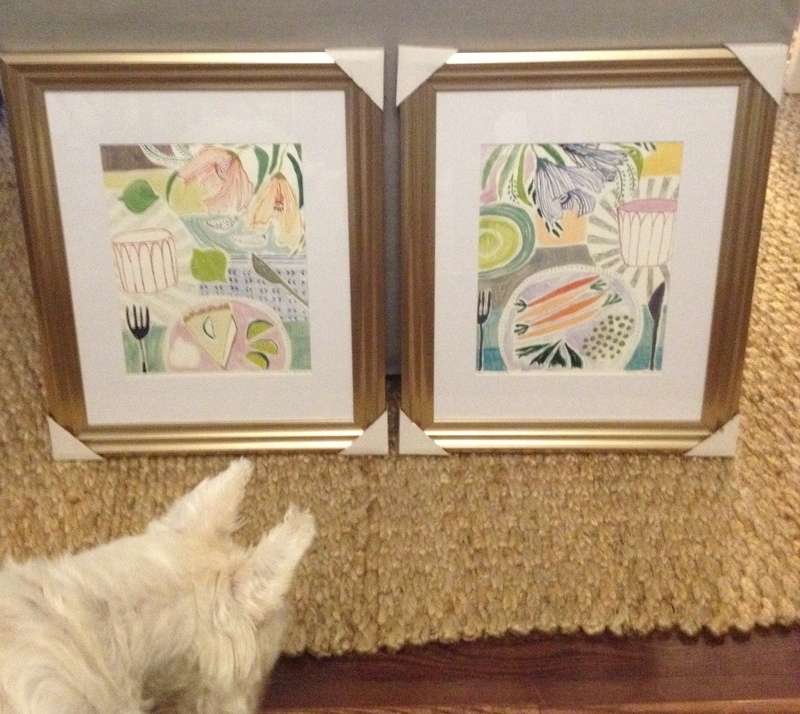 Purchase; Frame new artwork prints from the amazing Charleston artist Lulie Wallace. Seriously you need to check out her florals and her new tabletop series. She also has textiles and lunchboxes! 5. Purchase lighting. I really don’t understand why builders don’t put overhead lighting in homes. Let’s face it, cost. So, I am going to attempt to source some super cool lighting that I can use on top of an existing buffet. Then the piece de resistance… ceiling swag for the seating area. I am going to have to get really creative since hubbie is keeping me on a very tight budget for this. Stay tuned, I got one ordered, but it may or may not be here in time. May have to get super creative and pull out those 3D Art skills! 7. Keep an area for my daughter to have her play table and chairs. This will also involve the use of creative storage solutions (i.e. baskets galore) to hide those fabulous brain stimulating, make your kid smart, bright and obnoxious toys! Who am I kidding here, there will always be a space for my daughter to play, regardless of whether or not it looks pretty. Take note in the “cleared room” photos there are toys EVERYWHERE! Even in my after photos, I plan to make it all beautiful and then let her have five minutes in the room and then photograph it. Let’s face it people, there is “photography ready” and life. Most of us live in life, so learn to see the beauty in the everyday as well! 8. Make throw pillows. I collect fabric and I’ve found some major winners on Spoonflower.com. 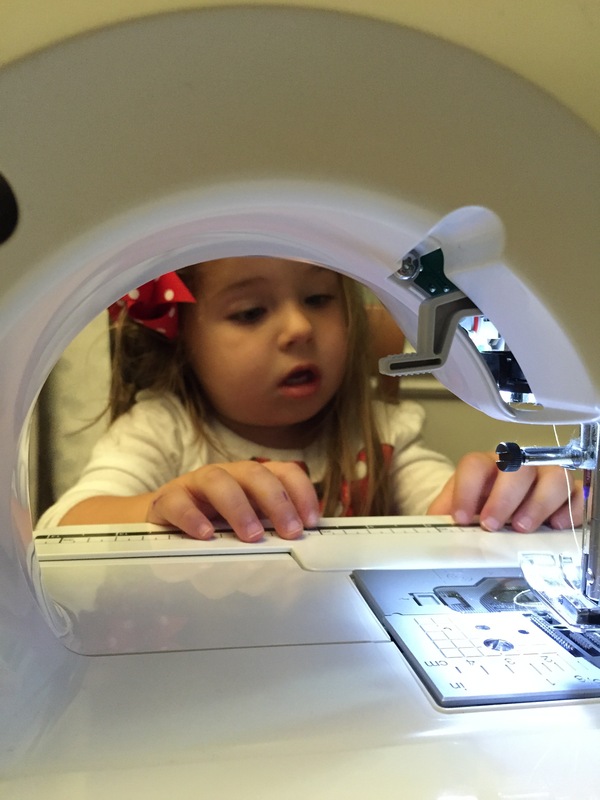 While I do know how to sew, it is not something I enjoy. Mostly because to do it right, it requires taking up lots of space and making a MESS! I may attempt to get my mom to help me on this one, since she is coming for a visit in two weeks. Thank you Momma, you’re the best! 9. Drink some wine. I figure this will more than likely be a vital part of this challenge. Did I mention I have a two year old and a full time job. I really feel as if I let my readers down on this one, aside from the glass I had at my birthday dinner, I really didn’t drink much of anything besides hot tea this week. I guess it’s the being sick part. I promise, I will do my best to make up for it this week though it may be beer, since I am going to Raleigh. 10. Source and or make new MAUVE drapery panels. Still having a hard time typing that MAUVE… Yeah, so I am still having a hard time with this one. I did make the current black, gray and cream horizontal stripe panels several years ago and I do still like them. I will have to check my old haunts for some good mauvey/lilac-y fabric this weekend and see if I really want to change them out. 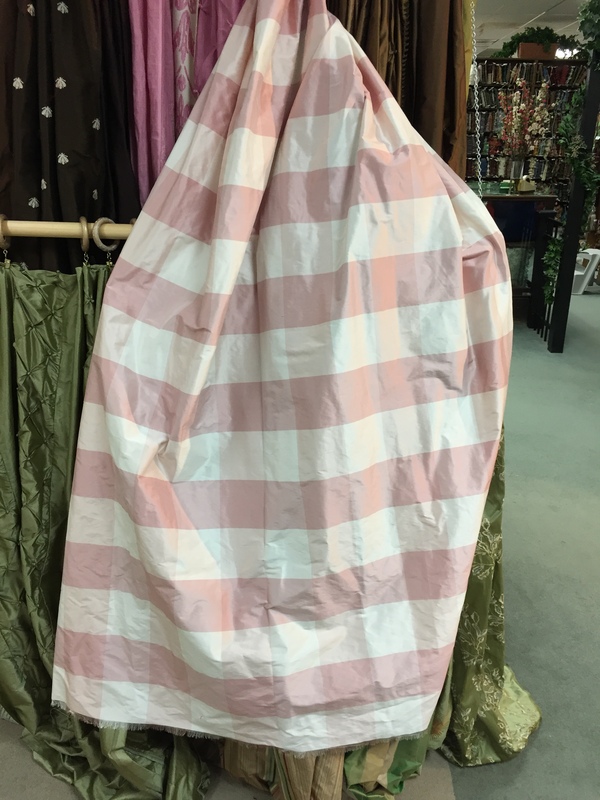 My fabric sources here have let me down a bit lately. 11. Accessorize, style and find a photographer to capture some really amazing shots of the completed project. Still searching for that photographer in the Northern VA area that may want to help build their portfolio and help me photograph the final product. Well I guess, I should feel a bit better after revising my master to do list, really only three major items that I can’t check off at least part of the task, not too shabby! Keep checking back as this is the official half way mark of the challenge. Oh crap, just realized that these three weeks have zoomed by and that means that the next three weeks will no doubt zoom by as well. Please take a moment and check out the amazing talent that Linda has gathered for the One Room Challenge as well as all of the Linking Participants here. Good luck everyone! 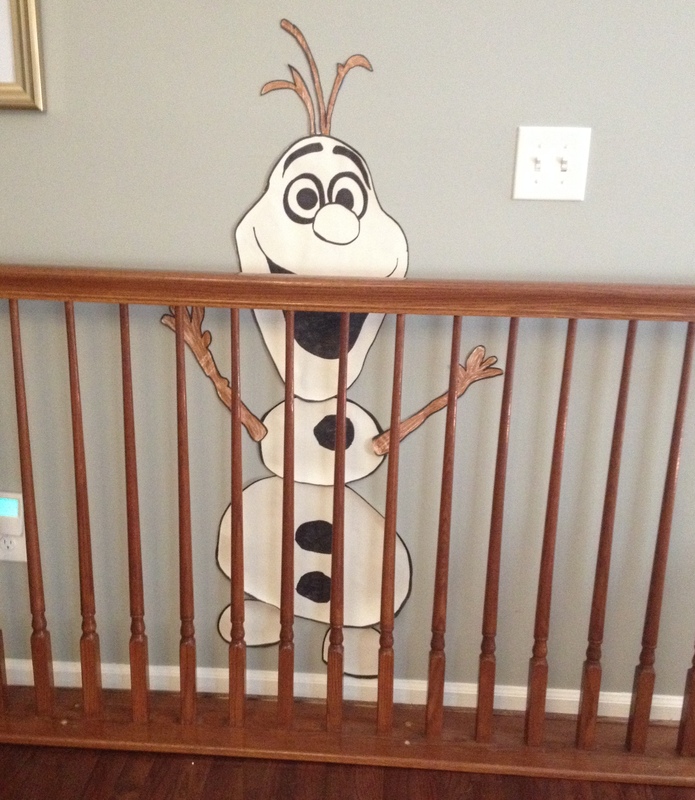 HI, I’m Olaf and I’m in BAD Design JAIL! So my first week of the challenge really consisted of mostly my Sunday. As my Saturday was spent visiting with these guys! I know insert the AWWWWWW….. 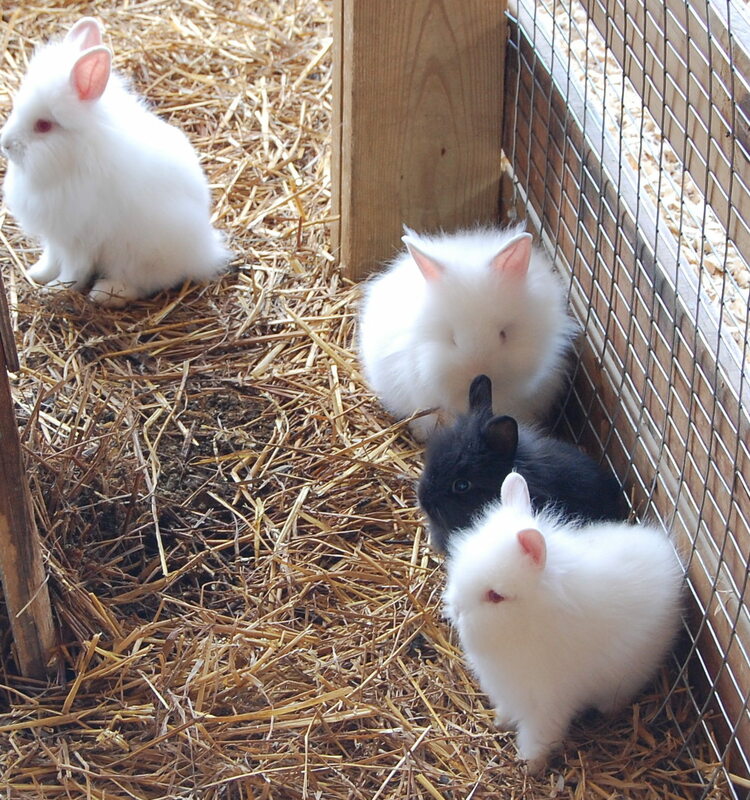 I seriously want a bunny, but really I just want to look at them and say aren’t they cute. I do believe that our Husky and Westie would not be keen on the bunny. Well not keen as a playmate anyways! And these two…. because after all it is FALL, my most favorite time of year. 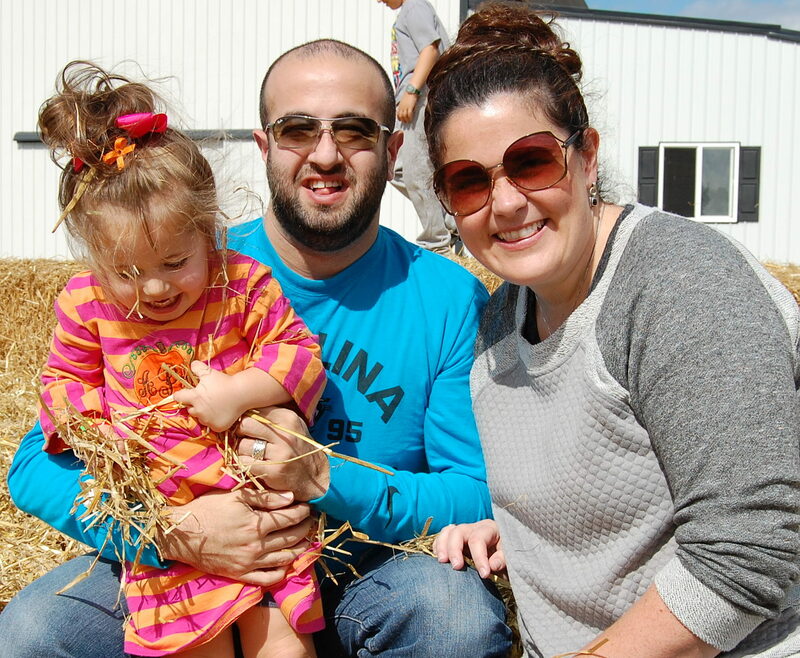 What is Fall without a little trip to the pumpkin patch/corn maze/giant slide/giant pale of hay/petting zoo in Southern Maryland. It is nothing, nothing I say! 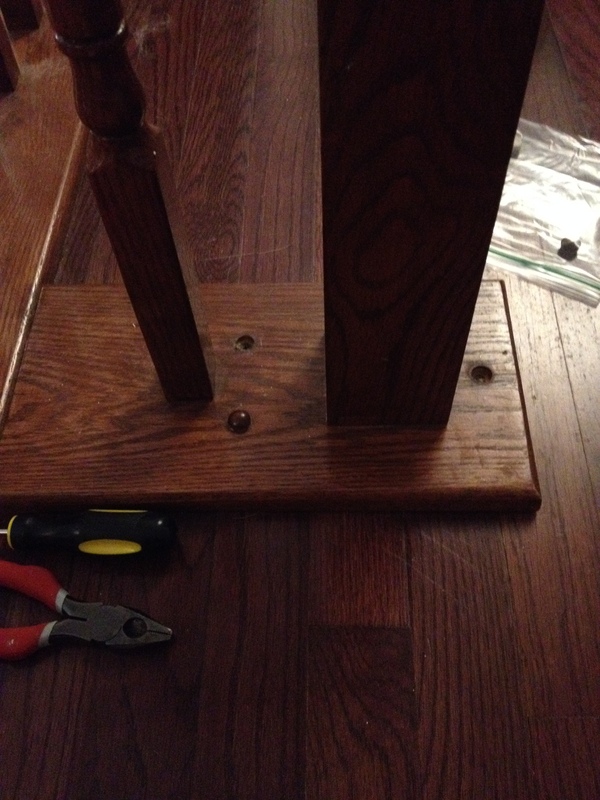 Simply used a pair of pliers and a Phillips Head Screwdriver. So removing the banister was a lot easier than I thought. I just pried off the wooden top caps to discover a basic screw. I opted for the good old fashioned Phillips head. My deal with the hubs is worst case scenario; we just put it back if the job turned into something larger than we wanted to tackle. I wanted to be sure to try and keep all of the original screws, just in case. 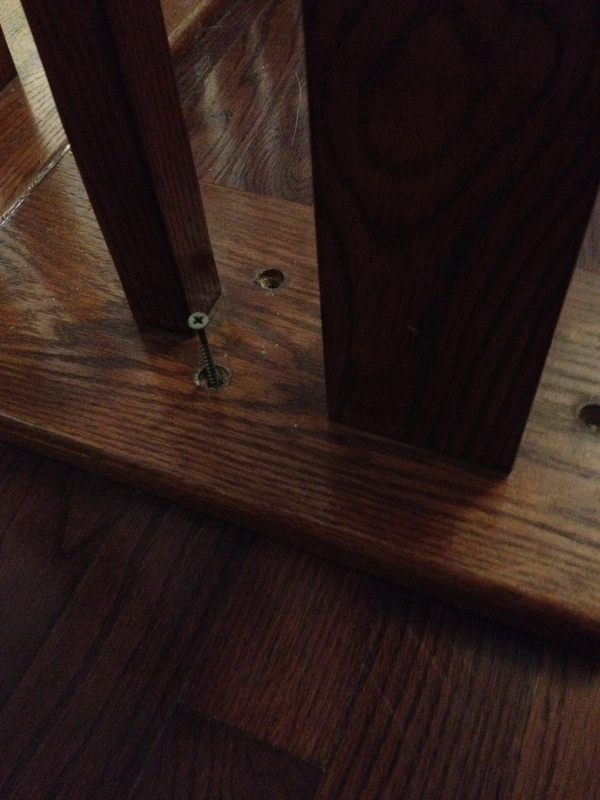 Sweet glorious finished hardwoods, with tiny little screw holes. I am not going to lie, songs were sung. It was as if doves were released and fireworks went off. Ok, that may be a bit overboard, but I was ELATED!!! Thank heavens, because even though I told the hubs that I would put it back if the job was too big. I simply knew that was not an option. I am if anything very headstrong and once I put my mind to something, it will happen. I like to think of that as positive thinking, my husband has other words for it. So this is probably hands down the largest change that I will make for my One Room Challenge, the rest will be mostly fluff, with a minor toe dip in electrical. I have to say, I hope this high doesn’t end, like EVER. Every time I walk into the room, it just makes me smile. It feels so much larger and actually opens up new layouts for my dining room as well. Who knows this may turn into a mini make-over furniture shift for the dining room. I did make other progress this week, got my Lulie Wallace prints in and actually didn’t have to buy frames. I had purchased these handsome simple gold frames with single matte from Michaels’ about eight months ago on super clearance (like $4 or something crazy). So I was able to get them mounted pretty quickly. If I haven’t already admitted this here you go. Hello, my name is Emily and I hoard fabric, picture frames, and toddler girl clothing. Regardless, I think they look great. I do love a simple black frame, but I didn’t want to take away from the whimsy and the colors in the print. Max, the Westie agree’s, two paws up Lulie! My last update is a little bit of a surprise. Sunday, after I completed the de-construction of the banister, Nick to our daughter out to shop. He does this at least once a weekend, so that I can have at least an hour of sanity and recharging. I was so excited from the high, that I had a little impromptu dance party in the living room/dining room. It was pretty epic. In the middle the dance party for one, I got a text with this image. 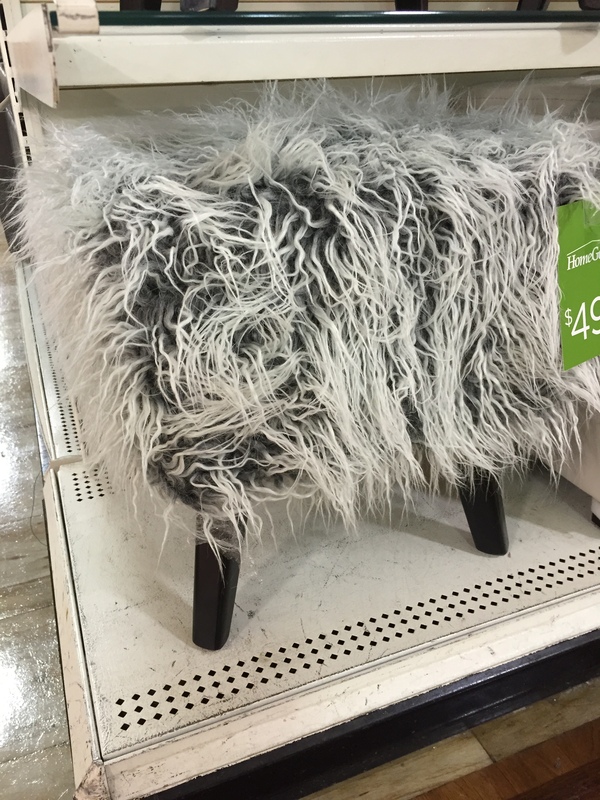 Nick and I don’t usually agree on décor for our home… So I was really surprised to get this text. I should problably go back a step. Last week, I began my search for pocketbook friendly lighting. My original design had a pair of Gold Ibis lights that are seriously to die for. But their cost was just a bit more than I wanted to bear for this project ($472 each). 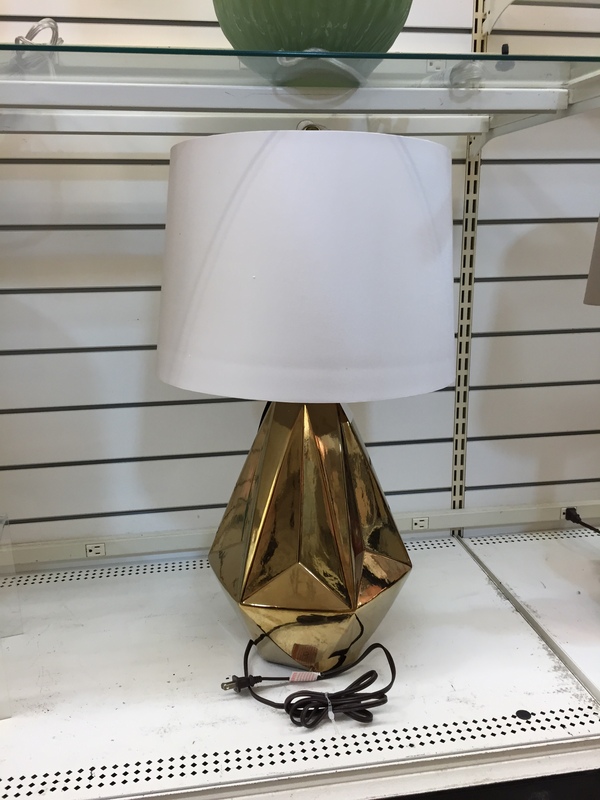 So, I have been searching for something that I could buy or retro-fit into something that would give me a similar touch of drama and add the desired light I need. I found these at a local Home Goods last week, in the kids section. The scale seemed good, but the color was off. The plan was to faux finish/spray the bases gold. I was coming around to the pale pink shades. I don’t typically like a colored shade, but I felt like, I could live with it. That was until Nick sent me the image above. I couldn’t beat the price. They are a perfect scale, classic with a little drama and I really have to say, I am digging the black shade. 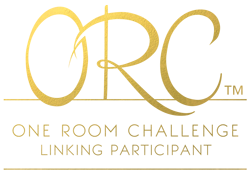 It’s not as bright of a gold as the original and of course doesn’t have a giant bird holding a crystal ball in it’s hand, sitting on a square of Lucite, but I will survive. 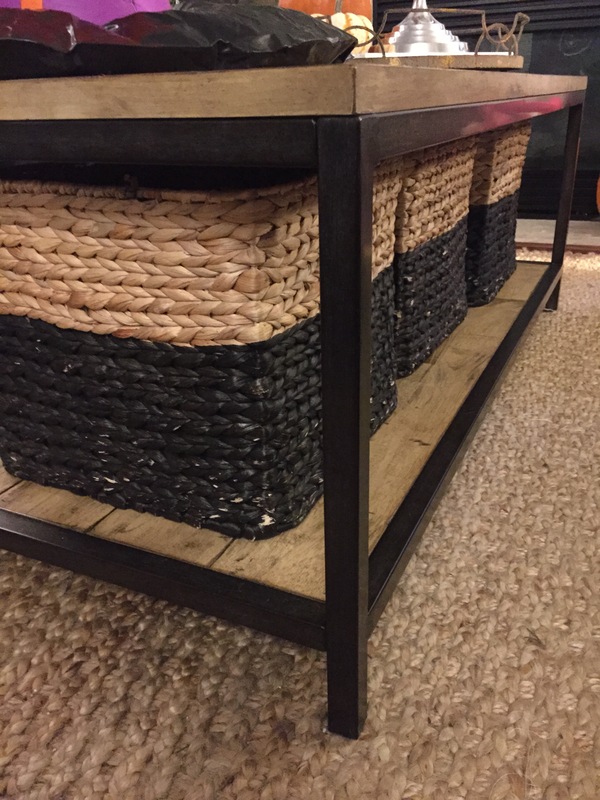 Also, I received the coffee table I ordered from Ballard Designs, but I will have to fill you guys in on what I decide next week. Let’s just say, I am still trying to figure that one out. I wasn’t super keen about the color/finish that it turned out to be. It really is hard to order things online through a catalog (hint, hint, hint, Ballard Designs need to open in a storefront in the DC metro area, preferably one in Northern VA, near Alexandria!) I may be refinishing the top to get the look I want. Should be simple enough right? 2. Center seating area on the fireplace. This has bothered me from day one. With the banister in place, it really limits you on where you can place furniture. Until now the couch has been on the banister wall and we have a bowling alley down the middle. 3. Create a secondary focal wall, so that no matter where you sit in the room, you have a pretty view. Have I mentioned that I have and OCD tendency for perfect symmetry? 4. 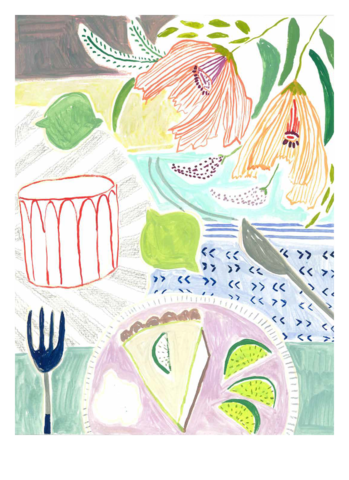 Purchase & Frame new artwork prints from the amazing Charleston artist Lulie Wallace. 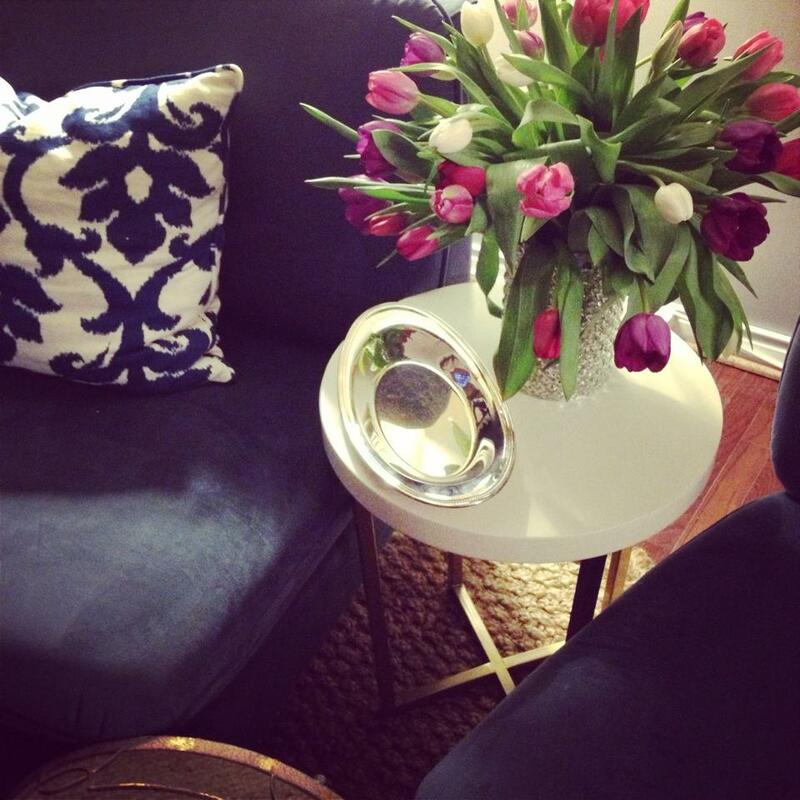 Seriously you need to check out her floral and her new tabletop series. She also has textiles and lunchboxes! 5. Purchase lighting. I really don’t understand why builders don’t put overhead lighting in homes. Let’s face it, cost. 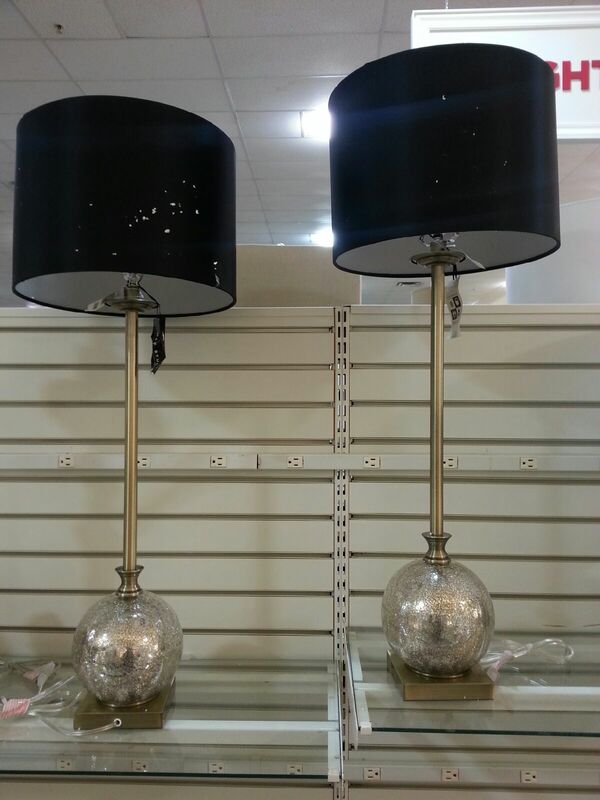 So, I am going to attempt to source some super cool lighting that I can use on top of an existing buffet. Then the piece de resistance… ceiling swag for the seating area. I am going to have to get really creative since hubbie is keeping me on a very tight budget for this. 6. Purchase a coffee table. Quite frankly it’s embarrassing that I haven’t had one. Or what is worse that we have been using my daughters play table as our coffee table. So while I have purchased the table, I wasn’t really happy with the finish, so off to Home Depot I go to pick out a new stain! 7. Keep an area for my daughter to have her play table and chairs. This will also involve the use of creative storage solutions (i.e. baskets galore) to hide those fabulous brain stimulating, make your kid smart, bright and obnoxious toys! 8. Make throw pillows. I collect fabric and I’ve found some major winners on Spoonflower.com. While I do know how to sew, it is not something I enjoy. Mostly because to do it right, it requires taking up lots of space and making a MESS! I may attempt to get my mom to help me on this one, since she is coming for a visit in two weeks. 10. Source and or make new MAUVE drapery panels. Still having a hard time typing that MAUVE… Accessorize, style and find a photographer to capture some really amazing shots of the completed project. 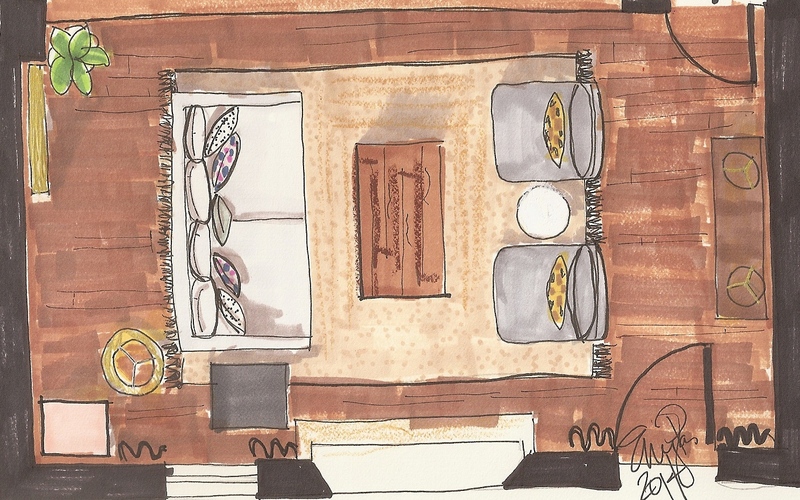 Banister – check, artwork – check, order table – check, drink wine – check, check, check! I’ve got a busy week planned this upcoming week. It’s my birthday week, Saturday, October 11th to be exact! YAY Libra’s! Yes I know, it explains a lot. My Mom is coming for a visit. Hopefully, she will help out in the sewing projects and the shopping projects. Whomever said shopping with a two year old is fun, has never been shopping with a two year old. I imagine it is very similar to shopping with the Tasmanian Devil. 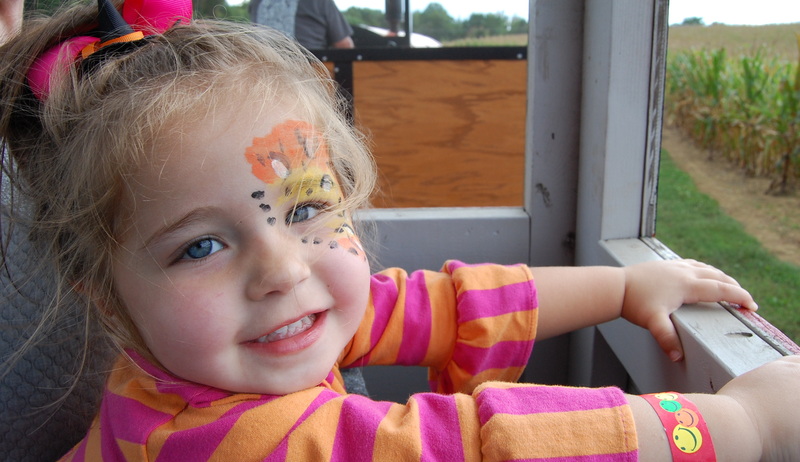 Don’t get me wrong, I adore my daughter, she is sassy and cute, but very unpredictable. I can attempt to plan the perfect pre/post nap shopping trip with snacks and everything I can imagine to distract her; but until the moment you step through the threshold of the store, you never know what you are going to get. I’ve enjoyed seeing all the updates from the One Room Challenge Participants please go check them out here! I look forward to following allow with all the fellow Linking Participants updates. Thank you for all for your kind words of support both on the blog and Instagram! 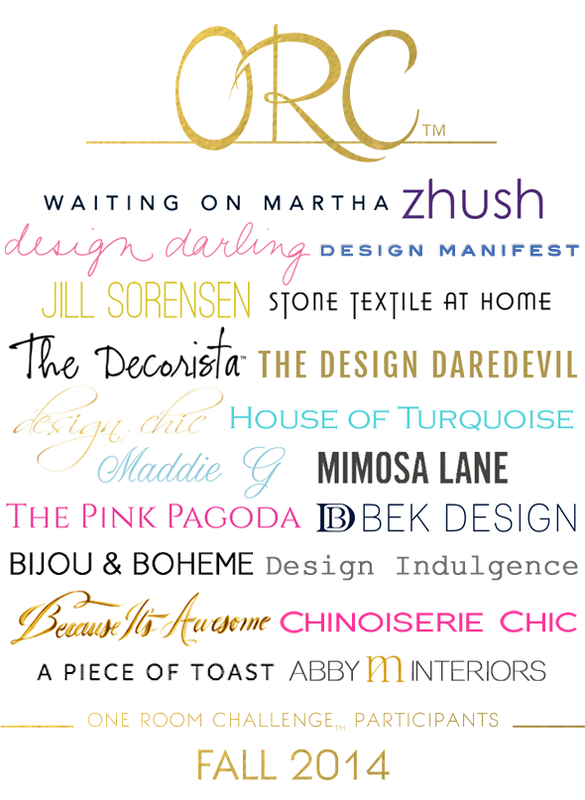 I’ve been standing in the wings the last few years admiring a really talented group of bloggers do their #oneroomchallenges, just dreaming about the day that I would take it on. Well today is that day! I’ve chosen to finally complete a project that has been a year and a half in the making, my living room. 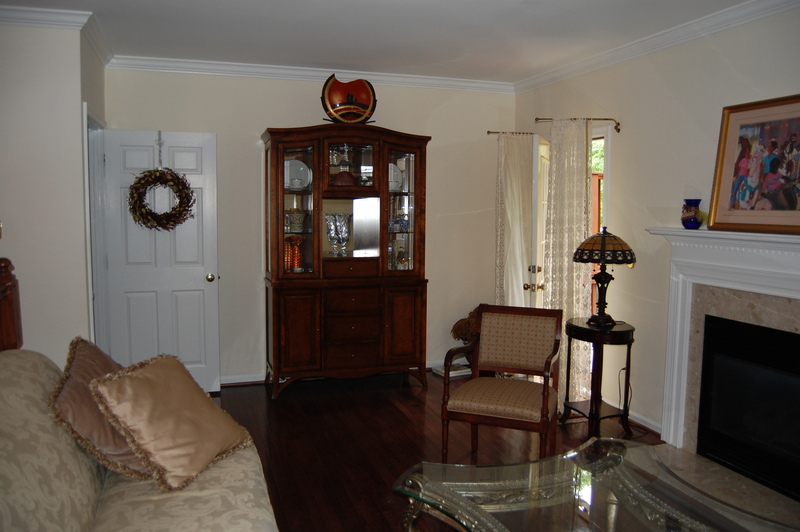 When we bought our house, I had great bones to work with, beautiful dark hardwoods and moulding a great scaled fireplace but the walls were rather bland. 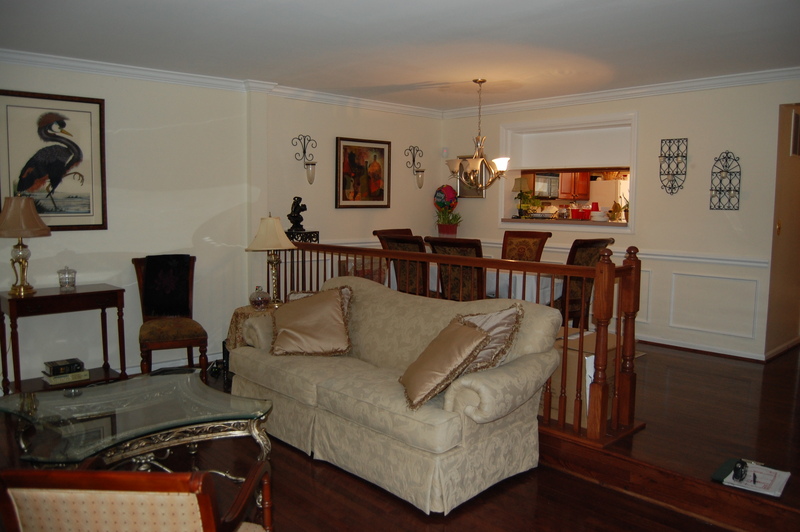 They were painted a basic “real estate” ivory and with it being a center unit townhome limited natural light. As a commercial Interior Designer, I am always challenged to be CREATIVE, AKA cost saving. I do have that drive in me to try and think outside the box or my proverbial comfort zone. This seriously terrifies my husband to say the least. I do believe his words this past weekend were, “you’re going to do what? Why would you take something that works just fine and remove it?” I do believe he thought I had six heads. As designers, that is what we do. We are constantly trying to think of ways to be creative or to try something new, often with things that we already have. I do love you Nick and I assure you, this is not a personal assault on you. J Why would I do that, when you know I will be asking for some assistance? This photo is standing in the dining room looking into the living room. 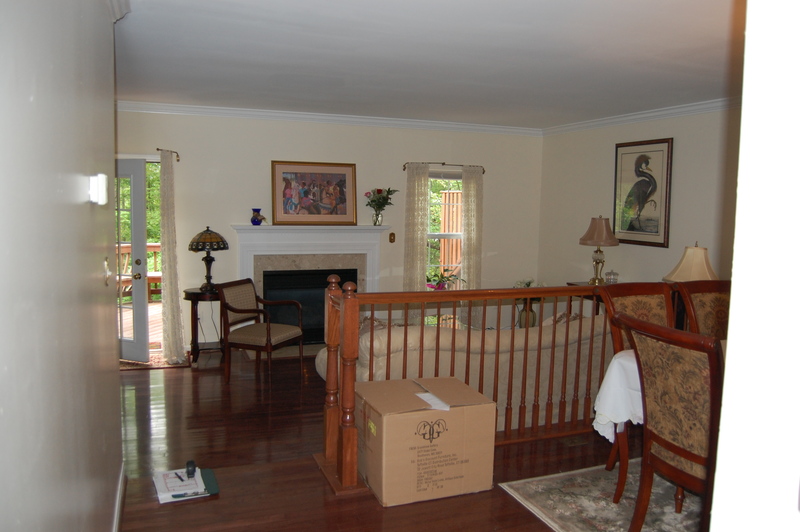 The two spaces are divided by a banister and about an 8” finish floor difference. I am toying with the idea of taking out the banister, but first have to do my due diligence to be sure that it isn’t required per building code. The view from the living room, looking back towards the dining room. There really isn’t much division other than the height between these two rooms. I love the open concept feel, minus the banister. This is the west wall which will become my “second feature” wall. Yeah, I told you it was pretty snooze-ville. So this is what I am thinking…. Yep, I am totally out of my comfort zone here. It’s funky, classic with a little dash of modern thrown in there. For my former and current colleagues, you can all attest, that day that I said I would never use the color…. MAUVE…. Yes, you are seeing that correctly. I would like to go on record that this is more of a lilac color… HA, who am I kidding its mauve. Here is what I have already done in the course of a year and a half…. When we moved in, the whole house got painted, lots and lots of paint. The living room is “Ellie Gray” by Sherwin Williams. This is a beautiful French Gray that would work with just about any design scheme I could come up with. I am in what I will call my Gray phase. 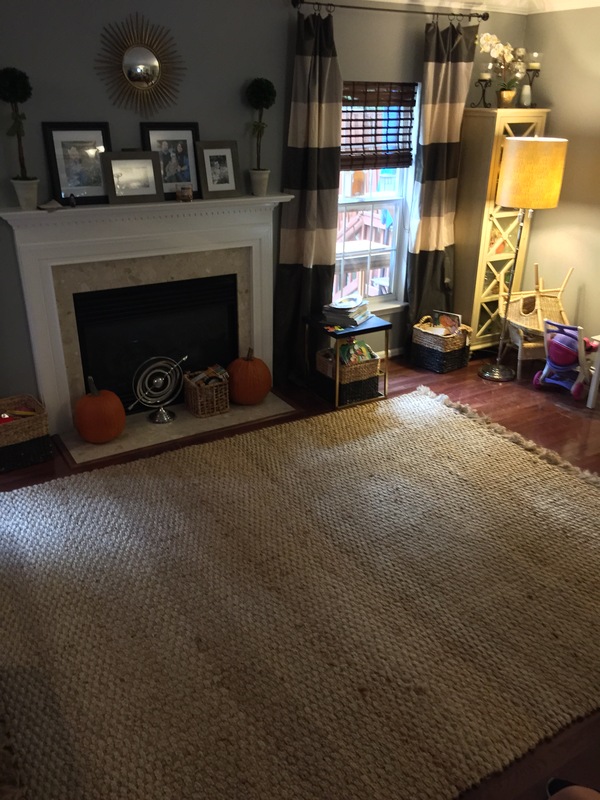 I purchased the rug around the holidays last year and found a steal of a deal on a couch very similar to the original design intent. That is the state that my main floor living room as been in the last year and a half. I will say it has made entertaining somewhat easy, just rent tables and chairs. I didn’t have to haul out big pieces since I really didn’t even have a sofa up until a month ago. Here is what I plan to do…. Create a secondary focal wall, so that no matter where you sit in the room, you have a pretty view. Have I mentioned that I have and OCD tendency for perfect symmetry? 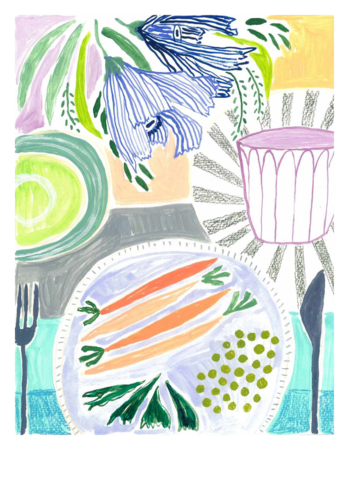 Purchase & Frame new artwork prints from the amazing Charleston artist Lulie Wallace. Seriously you need to check out her florals and her new tabletop series. She also has textiles and lunchboxes! Purchase lighting. I really don’t understand why builders don’t put overhead lighting in homes. Let’s face it, cost. 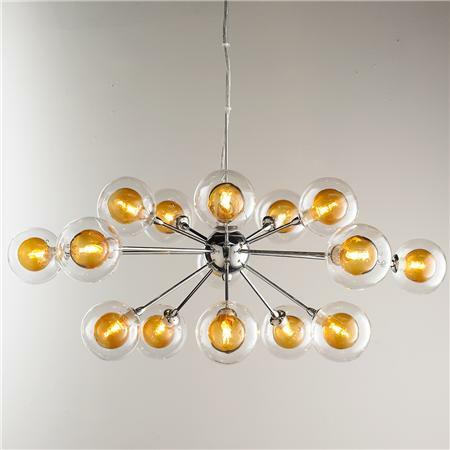 So, I am going to attempt to source some super cool lighting that I can use on top of an existing buffet. Then the piece de resistance… ceiling swag for the seating area. I am going to have to get really creative since hubbie is keeping me on a very tight budget for this. Purchase a coffee table. 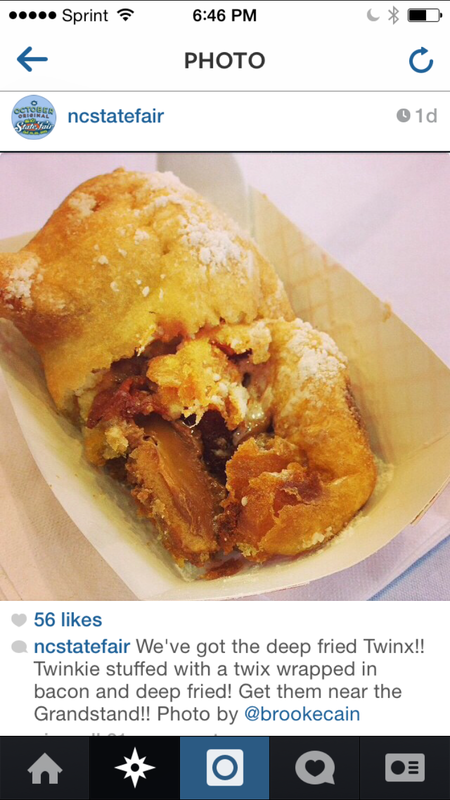 Quite frankly it’s embarrassing that I haven’t had one. Or what is worse that we have been using my daughters play table as our coffee table. Keep an area for my daughter to have her play table and chairs. This will also involve the use of creative storage solutions (i.e. baskets galore) to hide those fabulous brain stimulating, make your kid smart, bright and obnoxious toys! 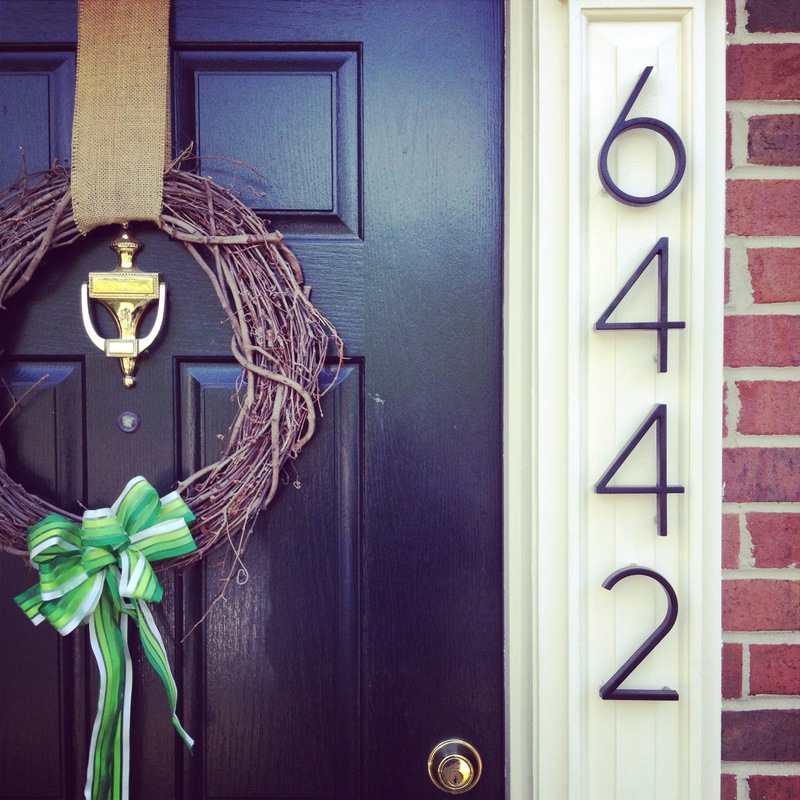 Accessorize, style and find a photographer to capture some really amazing shots of the completed project. Did I mention how much I am crushing on Lulie Wallace at the moment? I did give my husband a subtle hint that I would love for him to commission her to do an original painting of my wedding bouquet. It will be our 3rd Anniversary November 13th, just saying, Nick you should really get on that! 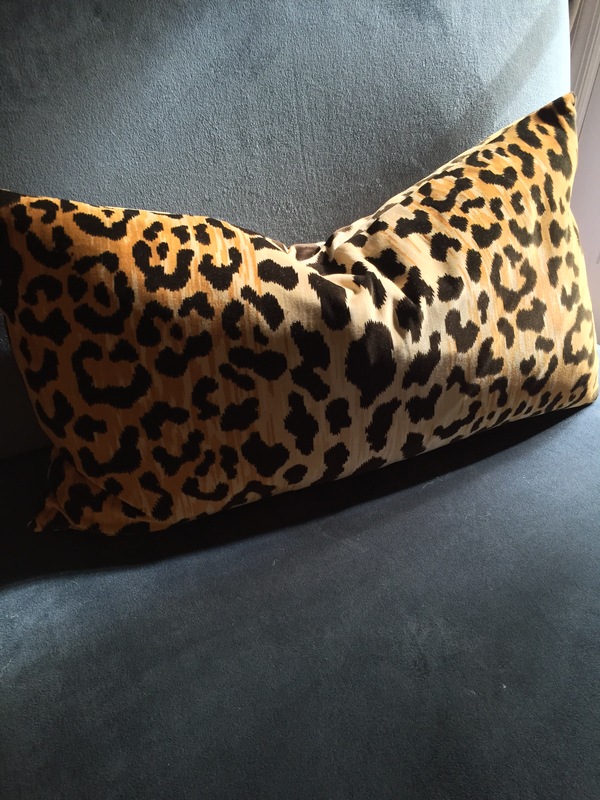 Leopard Velvet Pillow…. Enough said. You can find any size you need or want at Little Design Co on Etsy. I am so excited for this yumminess to hit my slipper chairs! Go to spoonflower.com and check her out. 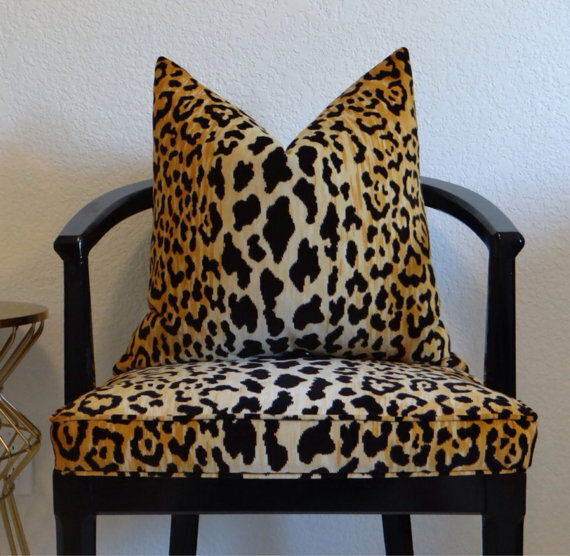 Amazing textile designer and I’ve already used this fabric to recover my dining room chairs. It is DEVINE! Let’s face it, the winner of this battle, will more than likely be the budget… Here’s to a mad crazy search that will let me find the funky but on a shoestring! Here is what I am thinking for the secondary accent wall. I have a boat load of china from my wedding. I believe close to 20 dinner plates, 18 holiday plates, etc. etc. etc. I am a Charlestonian; it’s what we do, collect china when we get married. 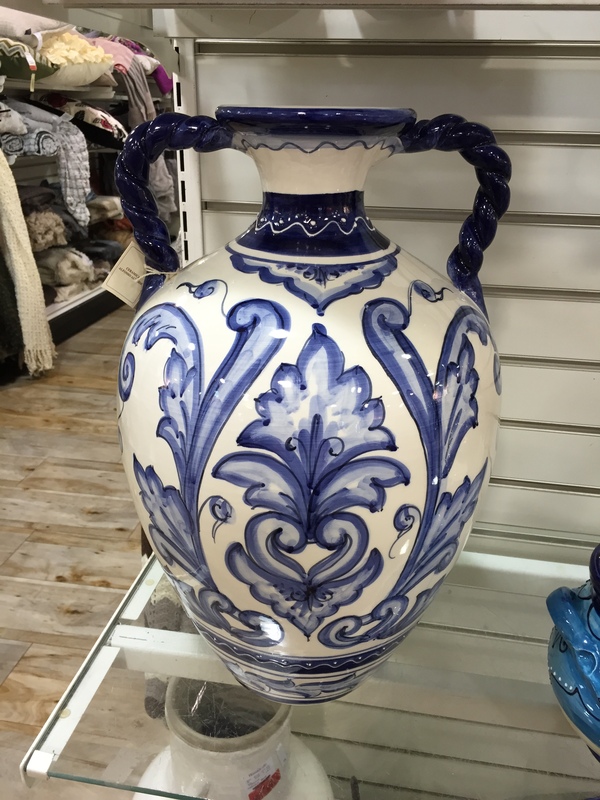 I love its simplicity but it is doing nothing stored in the buffet, sooooo, why not bring it out and hang it up on the walls? This is also a very southern thing. PS Still need a great source on extra-large plate/platter holders. This is an Elevation Detail of the west wall. So there it is, my One Room Challenge. I am so excited to see what the room eventually becomes. 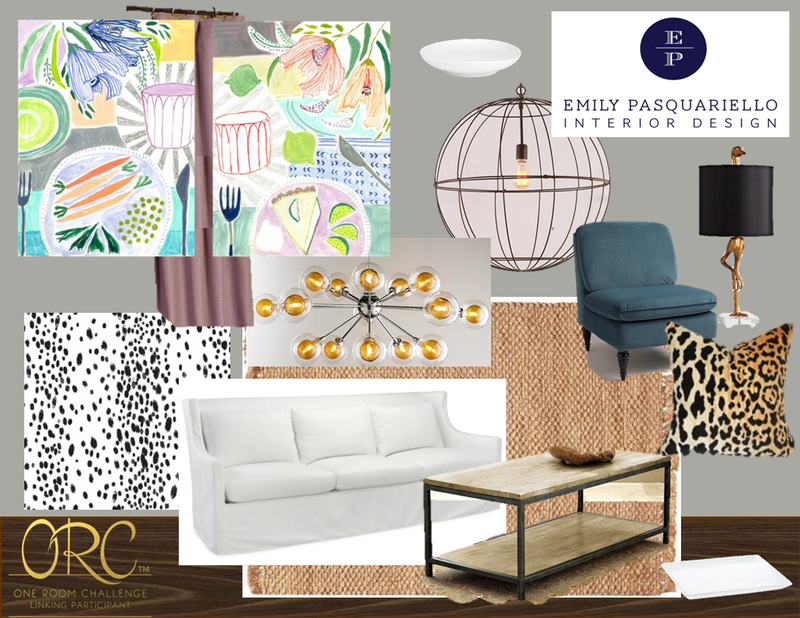 I am also pretty jazzed to follow along as other designers and bloggers link up their One Room Challenges. Check out the links at Calling it Home and thank you Linda for creating such a wonderful avenue for all of us crazy ladies to share this journey. Check back next week for my progress and whether or not the banister stays or goes. 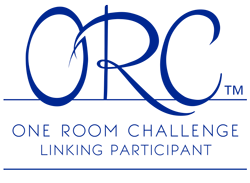 I’m so excited to be a linking participant in this Fall’s One Room Challenge put together by Calling it Home. For those of you not aware, it is a six week challenge to design and execute one room. 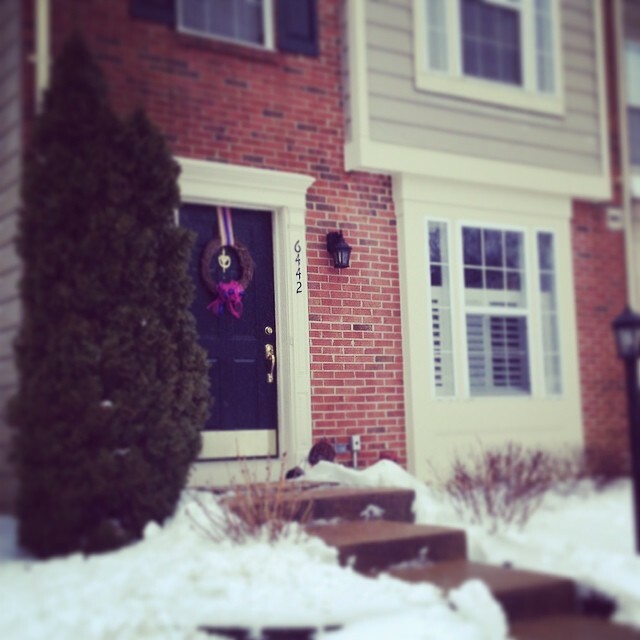 My husband and I moved into our townhome about a year and a half ago. I had great steam and design ambition when selecting all the colors before we moved in, but alas, life happened. As the mom of a two year old (mom’s you can relate) I really have no idea where all my free time went. 🙂 Between my full time day job (Commercial Interior Design – Government) and my little family and all of our activities, a few rooms really remain unfinished. I’ve had great ideas on what I want to do, but I’ve lacked the motivation to really do for myself what I do for my clients. So with all of that said I’ve challenged myself and maybe a little bit of my husband, to do it all! 🙂 I may or may not have a DIY crane lamp in the works! I encourage you all to take a look at all of the wonderful and talented designers that will also be participating and cheer us on, because, lawrd knows we need it! We purchased our home just about a year ago and have already put our fair share of sweat equity in the inside and outside of the house. 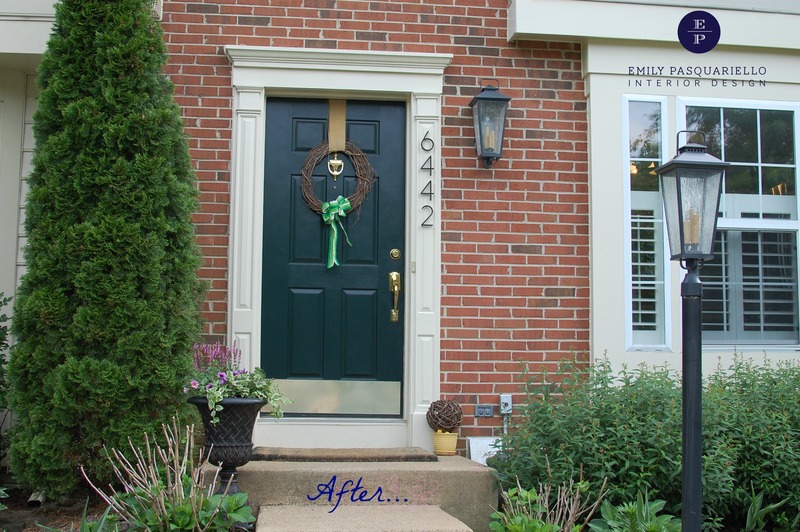 I have wanted to make simple changes to the exterior of our house since day one and finally got around to it. The lighting has always bothered me, it’s scale was too small and the letter was so plain and boring. 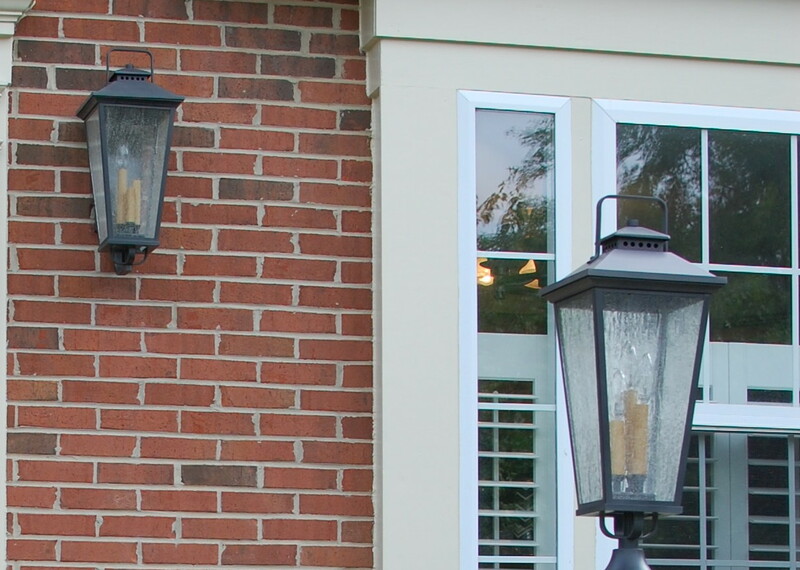 So working within our HOA architectural rules and regulations, I sought out for larger lighting and cleaner numbers. 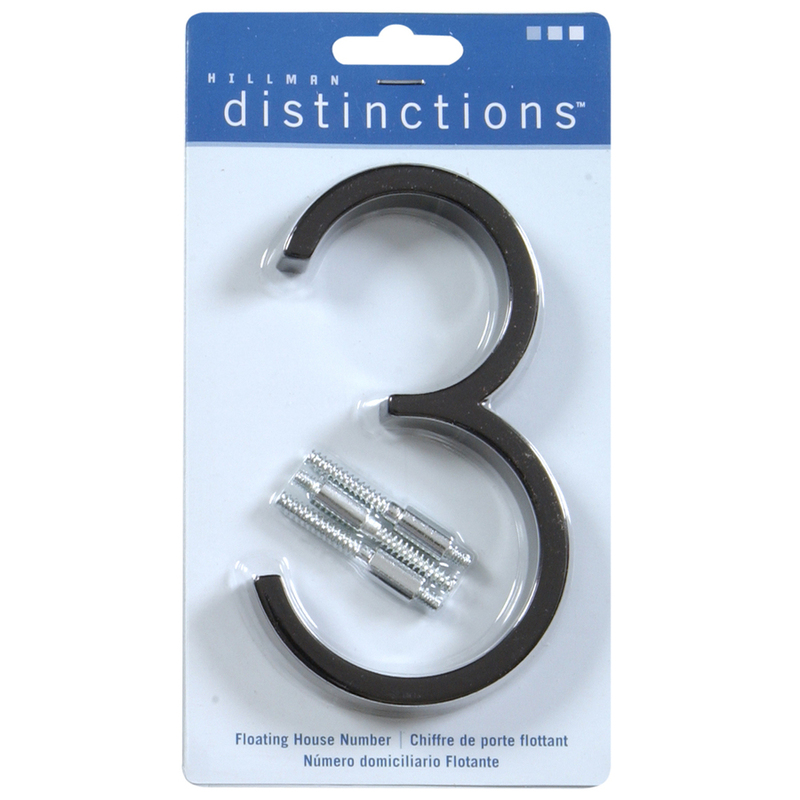 I was pleasantly surprised at the affordable options that were readily available to me at my local box hardware stores. 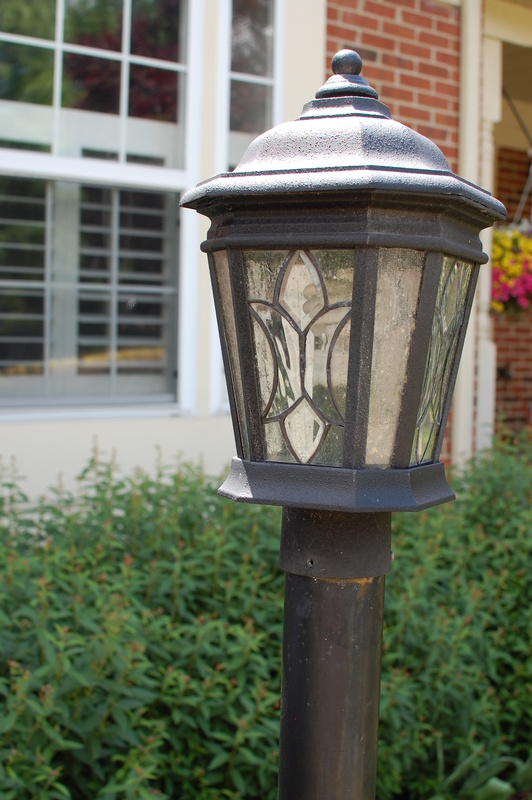 First up was to remove the dated “builder grade” fixtures for both the lamp post, wall sconce and rusted metal numbers. Getting the old letters off was a breeze (thanks to my husband and father in law) but putting the floating letters up posed a little bit of a challenge. Our moulding is not flat but rather has a lot of detail and variety of planes. We opted for a more contemporary black metal number, seen below. I honestly cannot remember if this was a Lowe’s or Home Depot purchase as we bought them the week we closed. Regardless, the numbers were the first thing we tackled. And the new numbers look awesome! So much better than the ugly little tiny letters! We waited a bit to do the lighting, mainly because I could not make up my mind. This is a horrible trait most designer’s have when they are working on their own projects, the ability to commit. 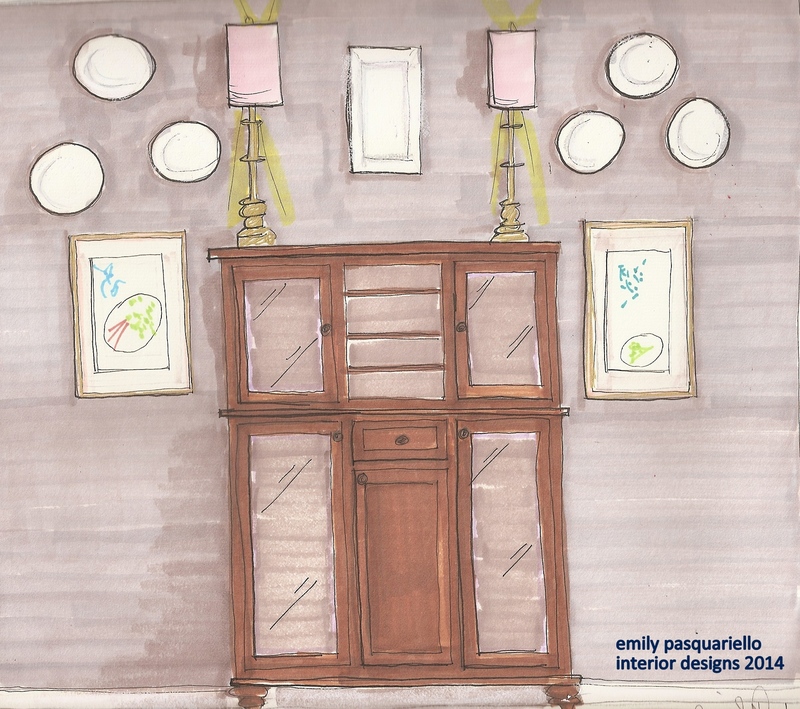 The problem is that we are constantly being shown the latest and greatest products out there and while we think we may have found something wonderful, who is to say that the perfect fixture, fabric, color is something that I won’t come across in the future. Don’t get me wrong, when we design for others, it is much easier for this to all come together. Just the way it is I guess, and I am thankful that I have an understanding husband. So after a long and exhausted search, I wound up choosing a matching set of fixture’s from Lowe’s, allen + roth Parsons Field Light. I originally went with the 17″ fixture, but it was again too small, so we opted for the 22″ version and it is just right. We got the matching lamp post fixture. All in all they were somewhat easy for my husband to install. Only took two attempts and minimal cursing. But the end result was well worth the effort! 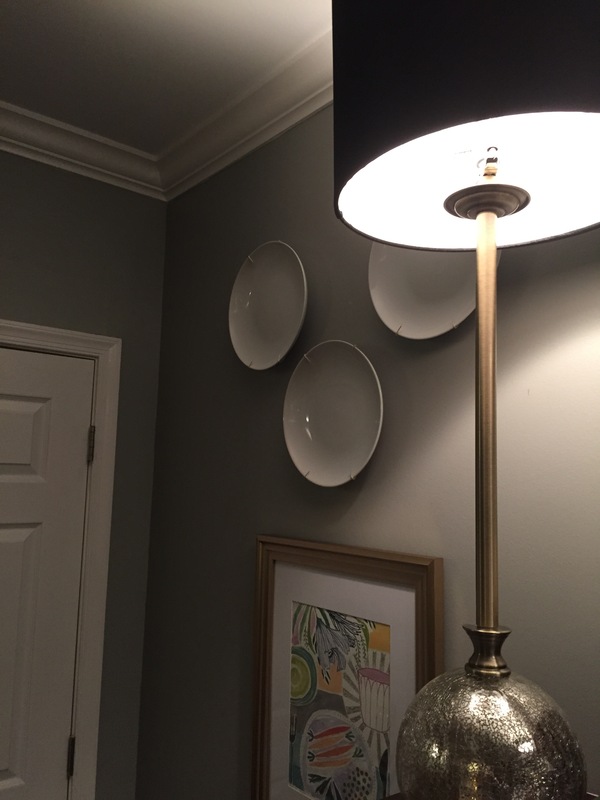 yummy new post and wall sconce! Here is a look at the before (already with the new numbers) and after. 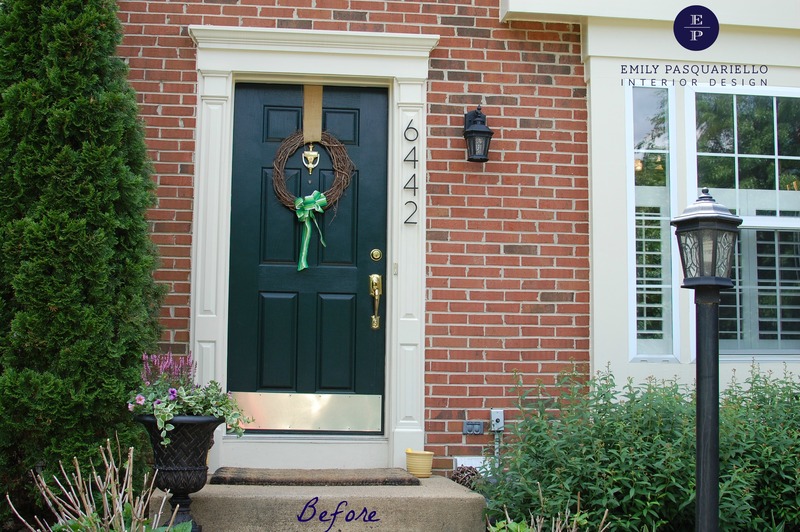 All in all the cost for this little upgrade was under $250, and in my humble opinion does wonders for our home’s curb appeal. 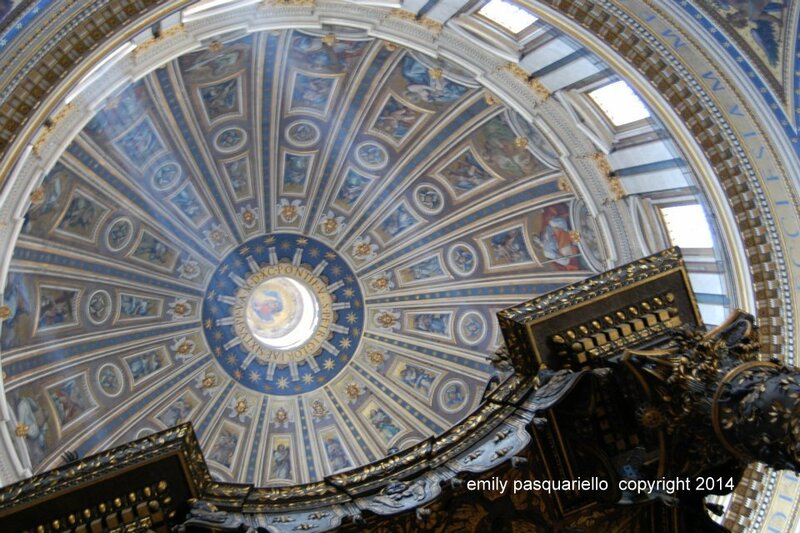 Today I am sharing some personal photographs from my trip to Italy a few years back. 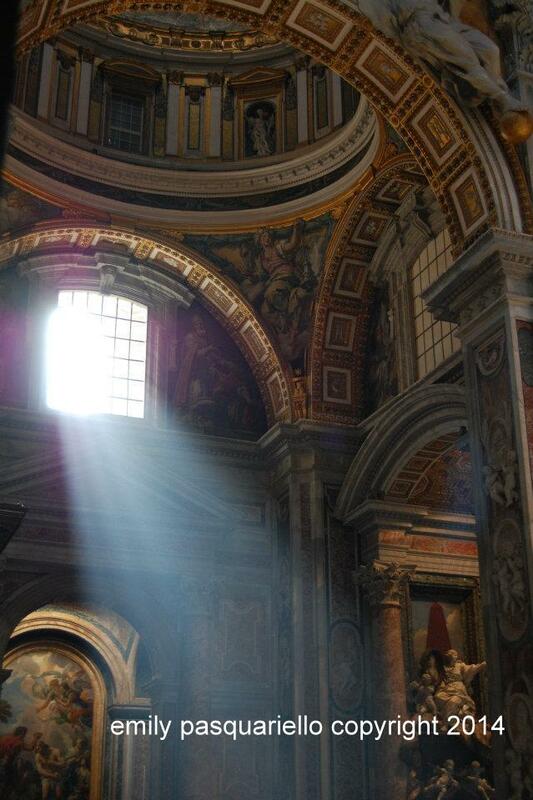 It always amazes me to see craftsmanship from many moons ago and realize that they did all of this without the technology available to us today. 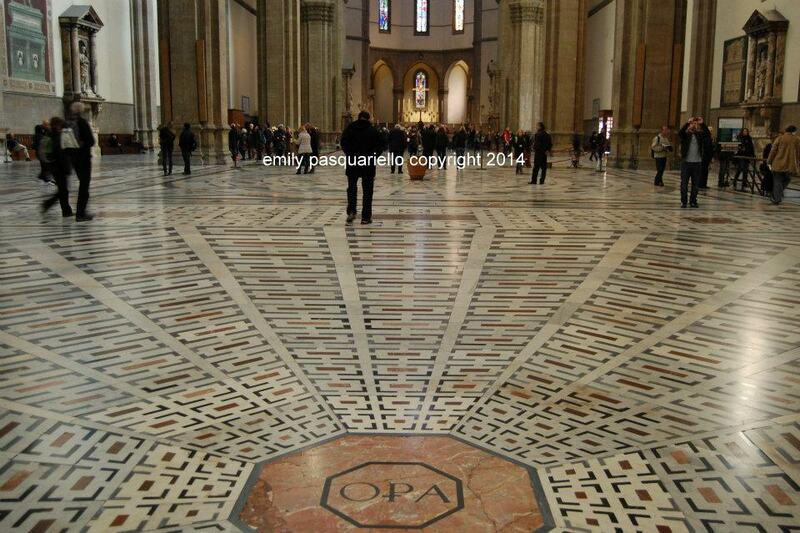 This floor is from one of my favorite Catherdral floors, Brunelleschi’s “Santa Maria del Fiore” in Florence. 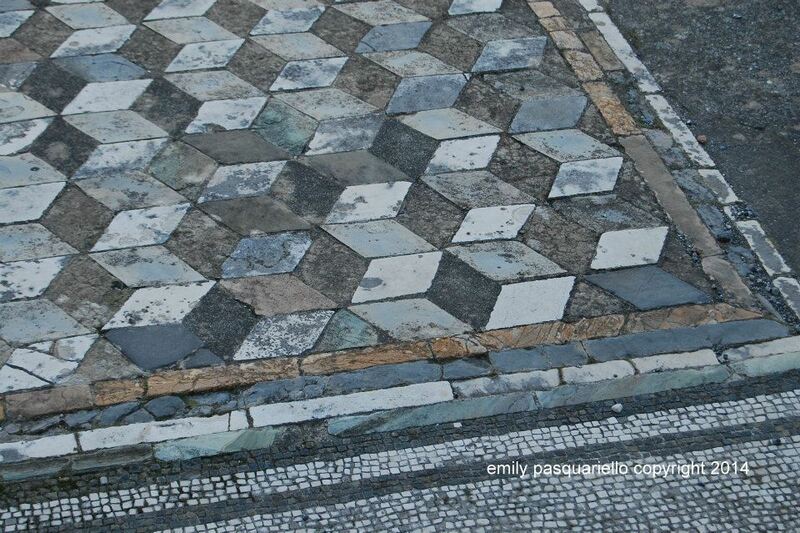 I am just thinking how many versions of this floor design were there? 🙂 Yes, I wish I was more patient, but I am a CAD drafter. I will usually start with a sketch, but that left brain logical side of me, always wants it to be technically perfect, so CAD it is. 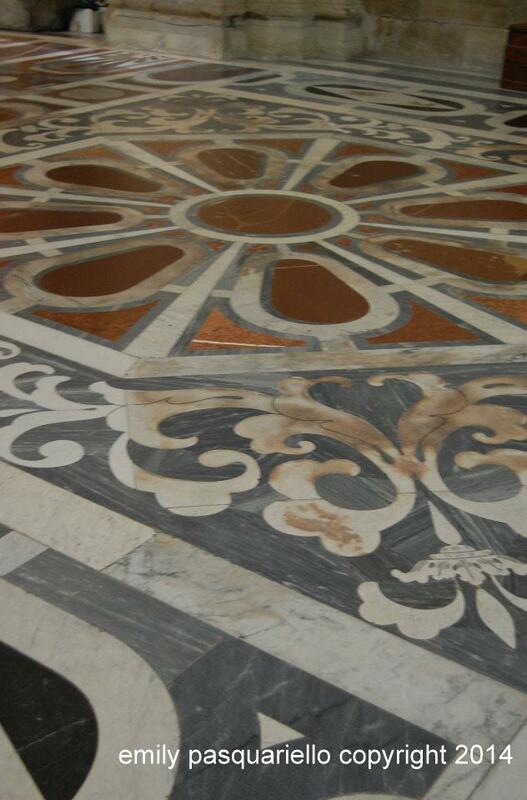 Notice that the floor color scheme is a nice neutral mix of black, gray, white and tan marbles….. That is so that even as ornate and detailed as the floors, it doesn’t clash with the amazing frescoes…. 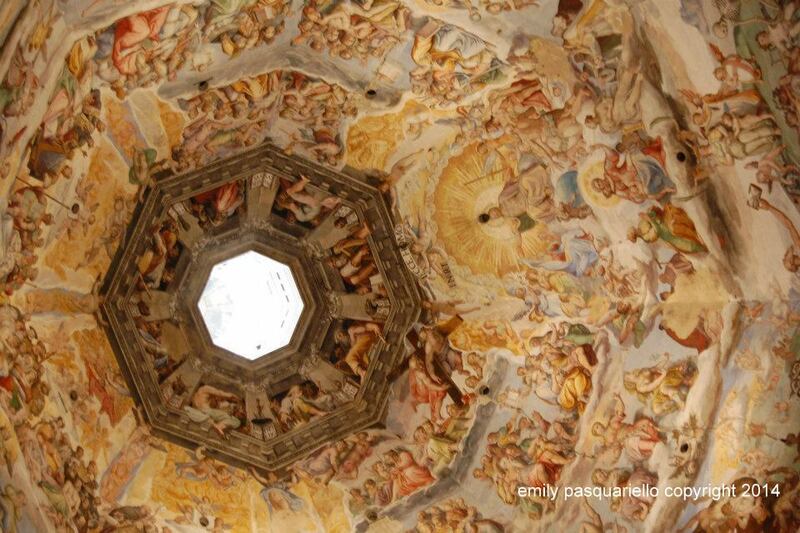 Designed by Giorgio Vasari but executed by Frederico Zuccari. 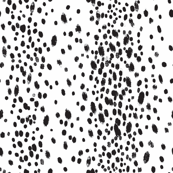 It really amazes me to see patterns like the one above and realize that this is still popular now. The photo is from the Greek ruins of Paestum, in the region of Cilento south of the Almafi coast. This site it truly an amazing one and a must see if you are in that neck of the woods. It has some of the most complete Doric temples in Italy. Not to mention walking the grounds really takes you back and is such a treat to discover the details of the mosaics that are still in tact all these years later!! 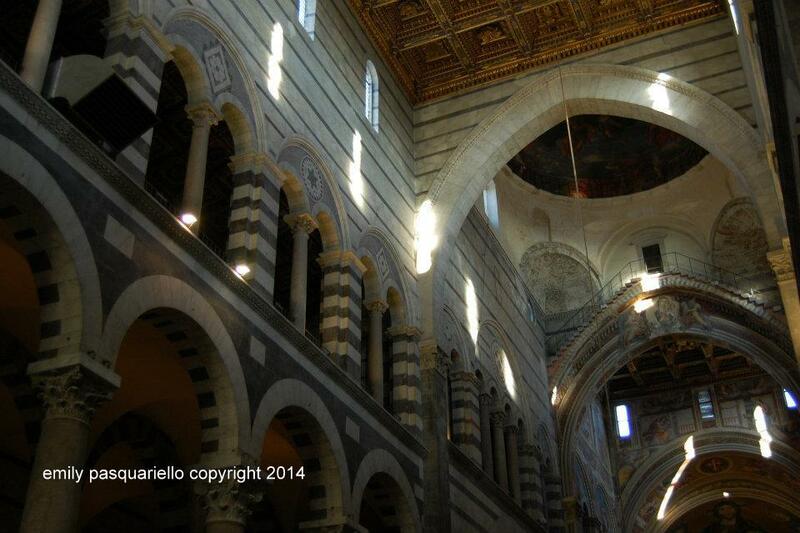 I couldn’t do a post about floors and ceilings without mentioning one of my favorite Cathedral’s, Duomo di Pisa, which is an amazing masterpiece of Romanesque architecture. 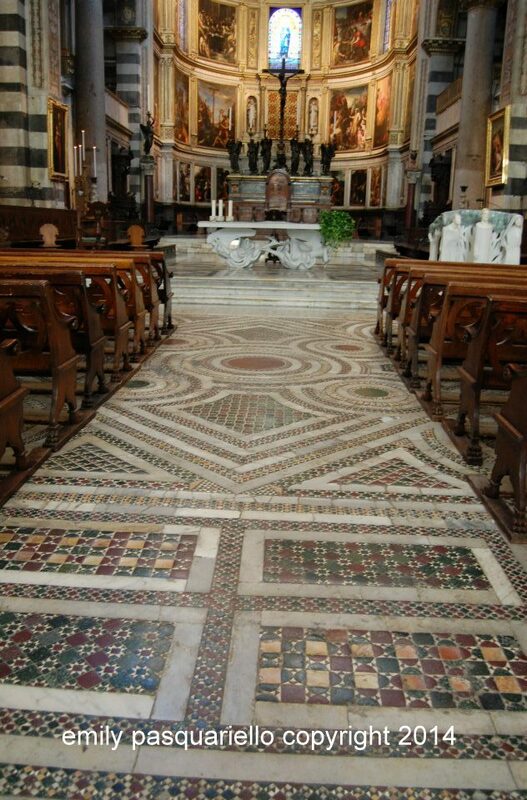 It has so many details everywhere, from the mosaics on the floor that create an area rug of sorts, to the AMAZING black and white marble horizontal stripes that surround the columns, pure heaven for my eyes. I had to put this all in perspective and really appreciate the fine art of not only the design of the details but the execution. We can design the most amazing spaces in the world but if you don’t have a good tradesman to do it for you, then it really doesn’t matter how great your design is, all anyone will see is the flaws. Do your homework before hiring any contractors. The best value may not always be the low price, but the combination of previous experience and amazing references. As with most things in life, you get what you pay for.